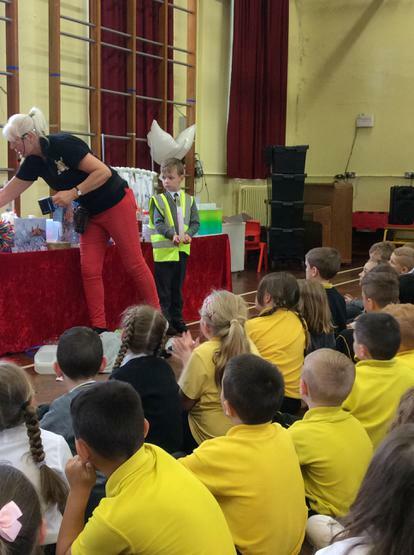 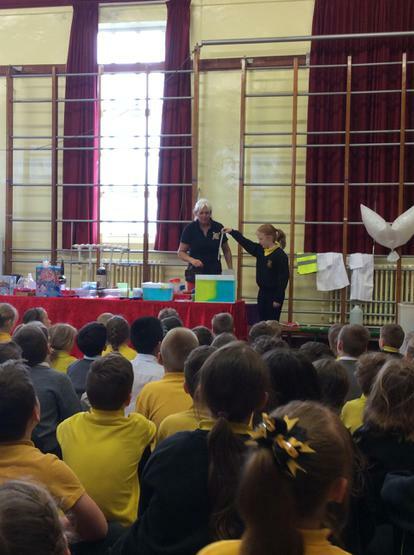 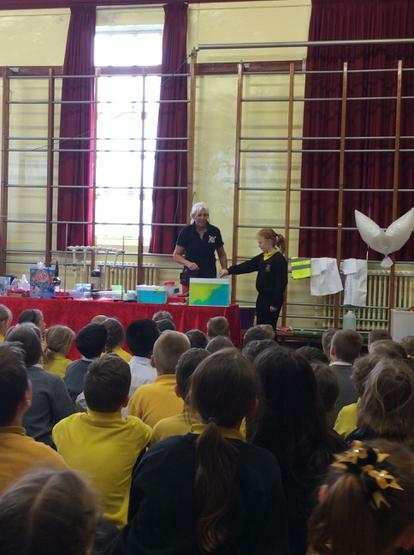 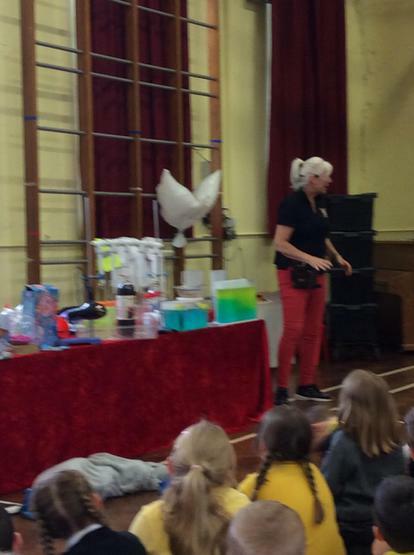 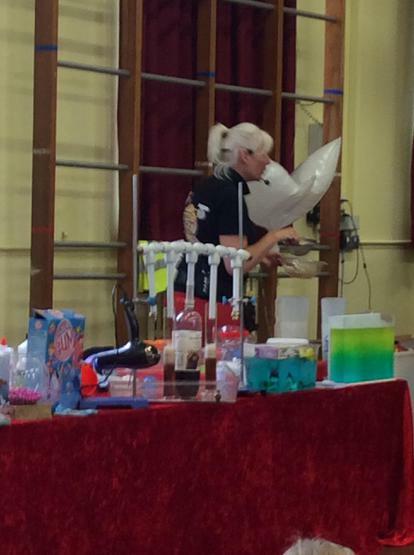 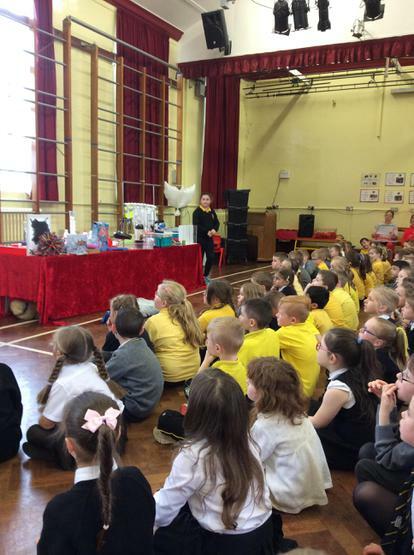 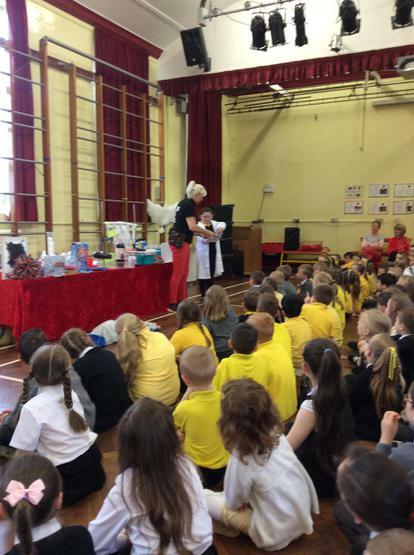 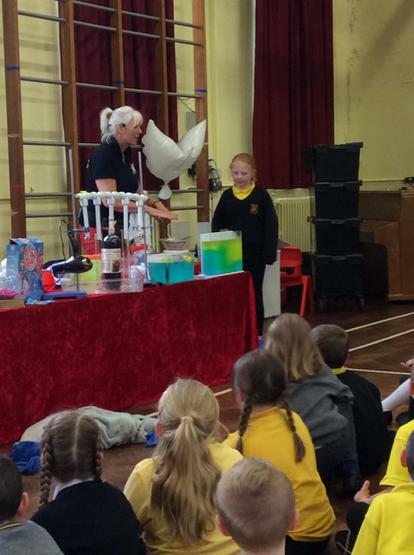 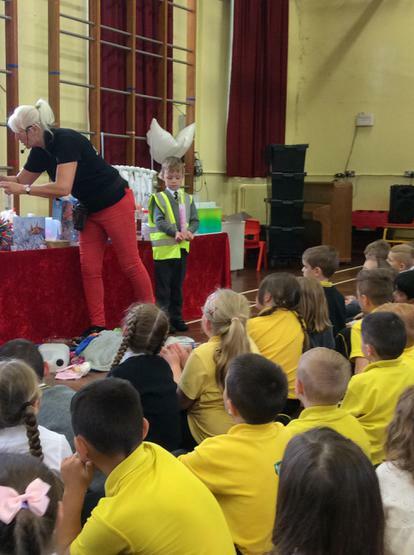 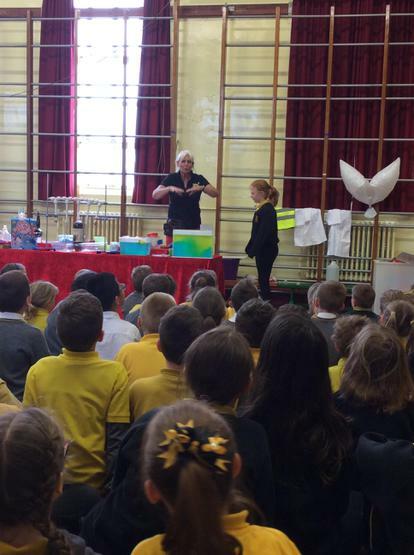 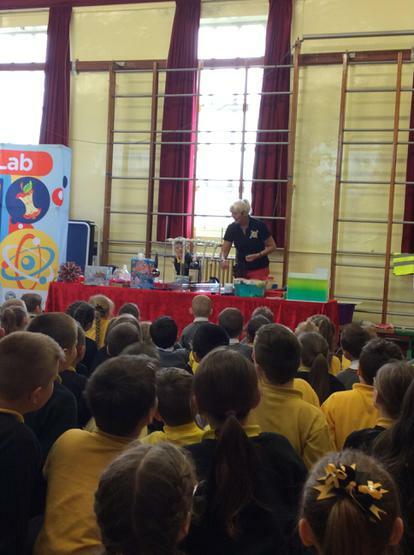 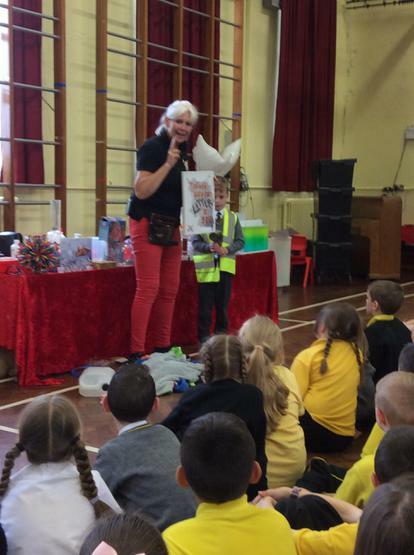 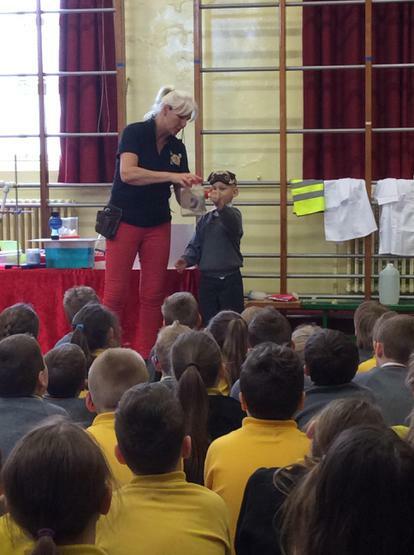 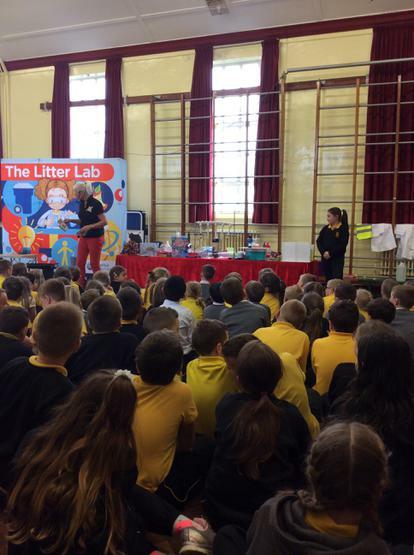 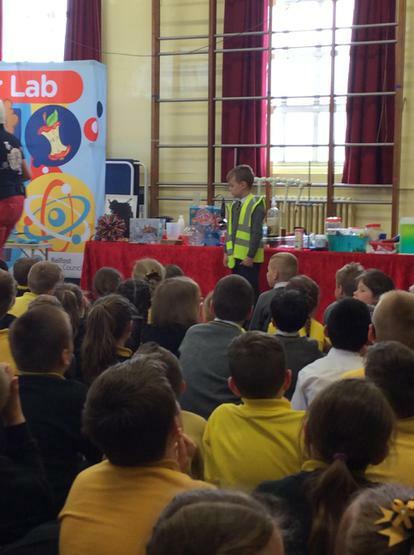 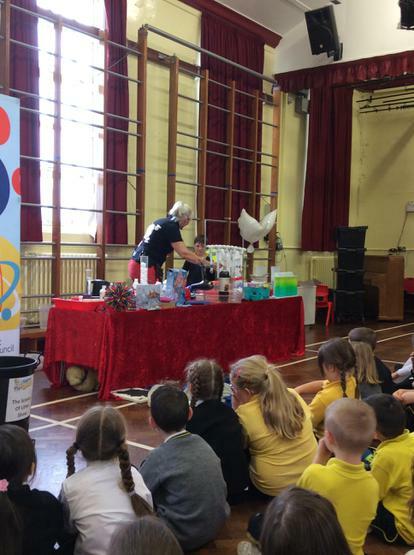 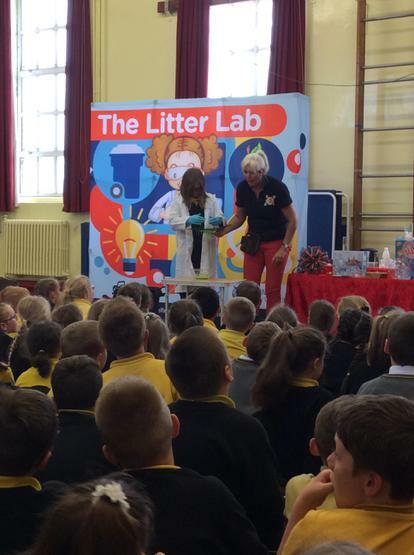 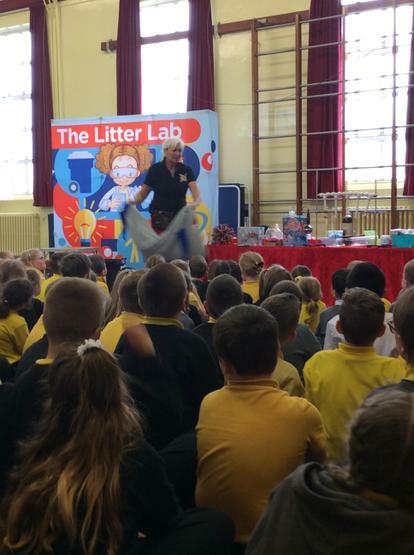 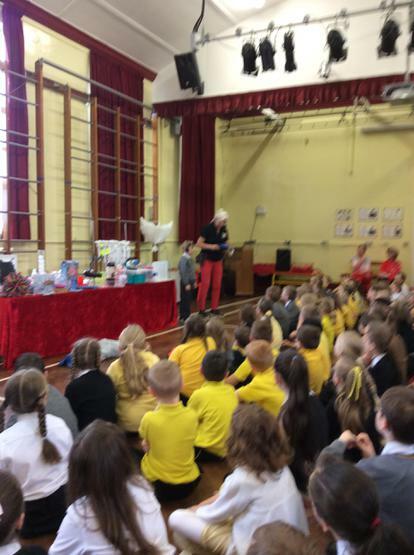 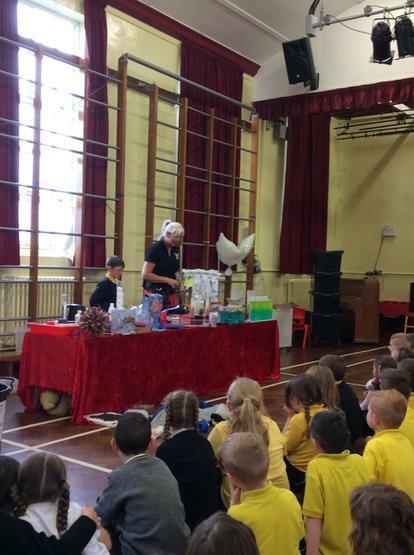 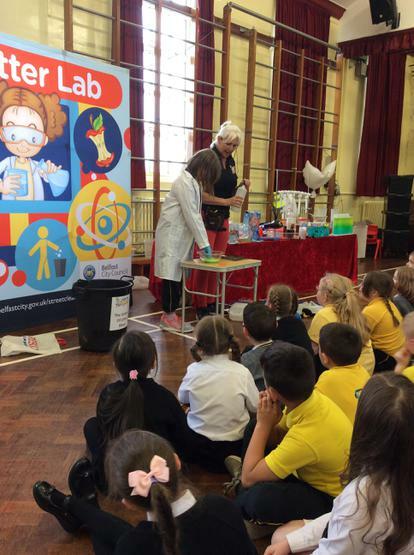 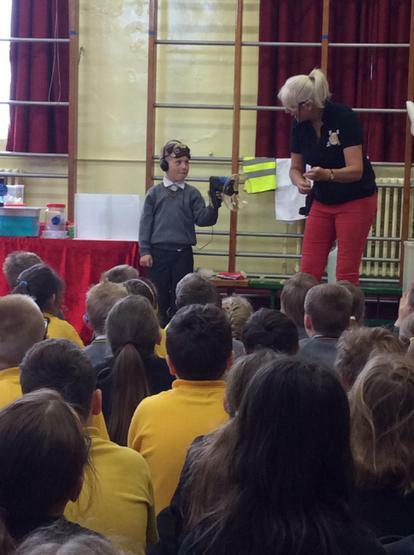 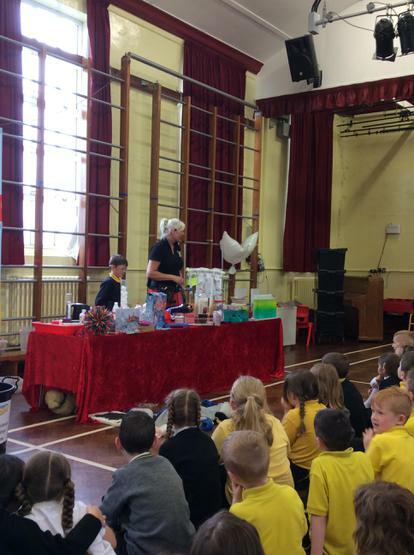 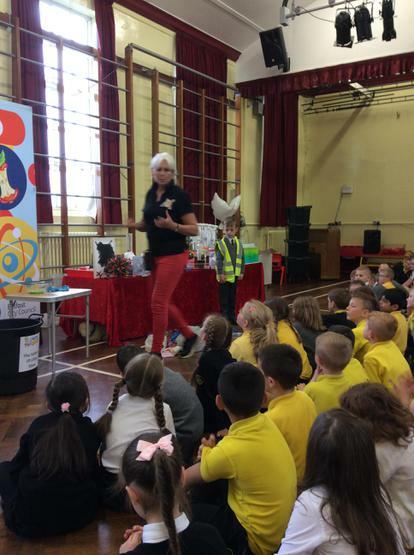 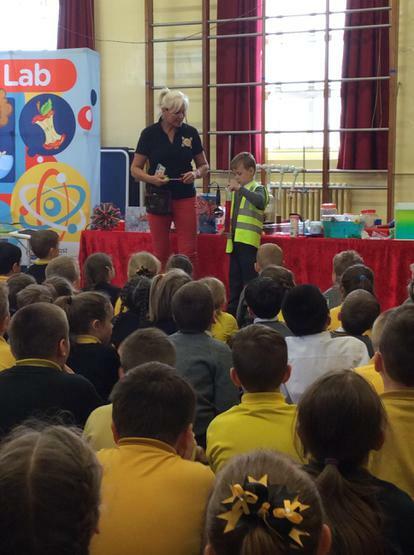 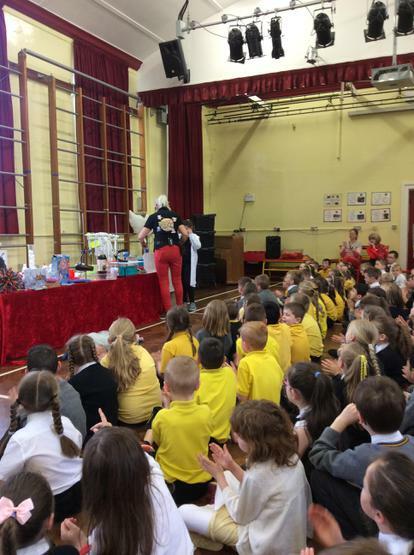 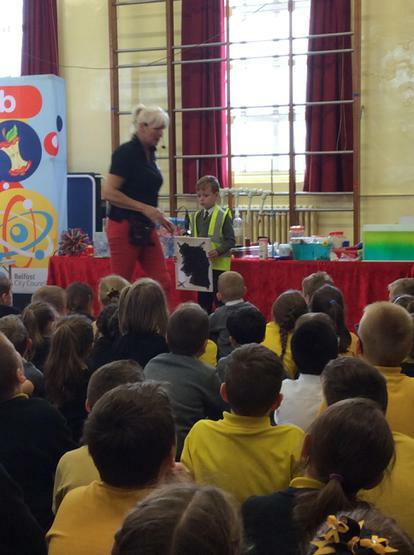 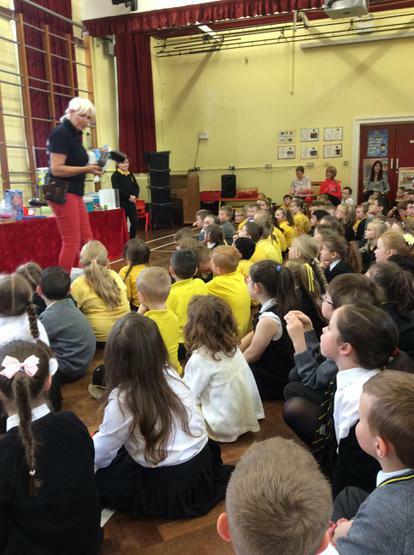 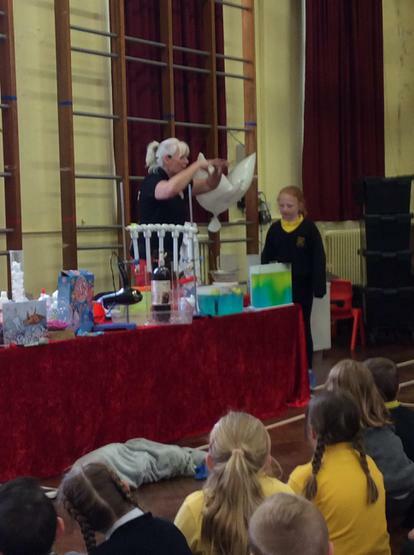 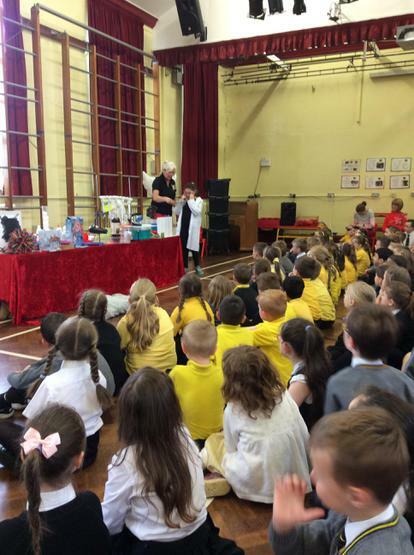 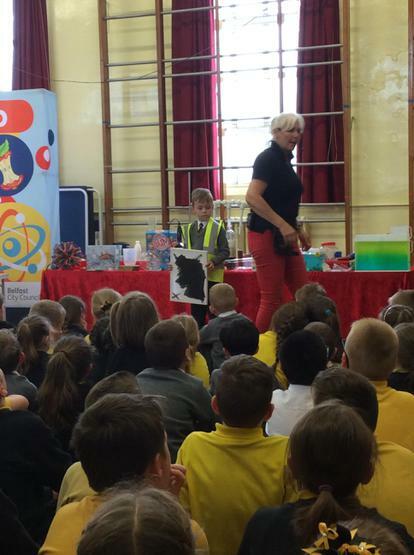 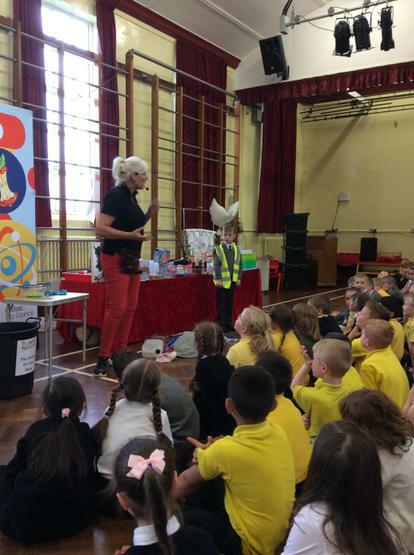 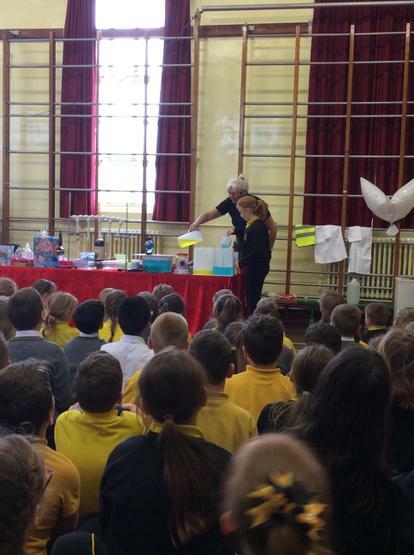 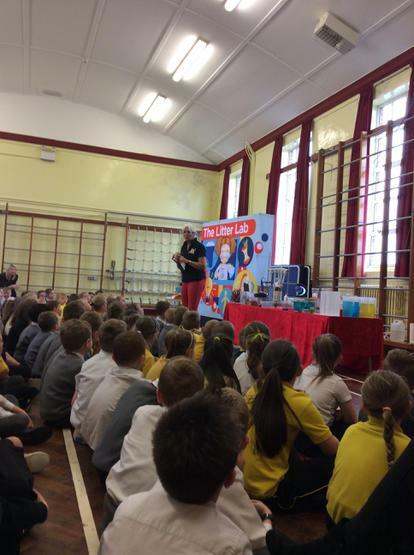 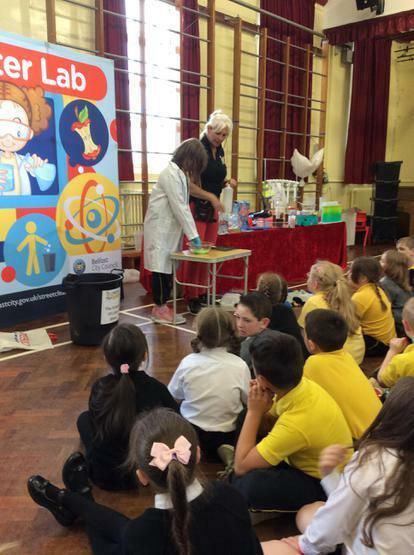 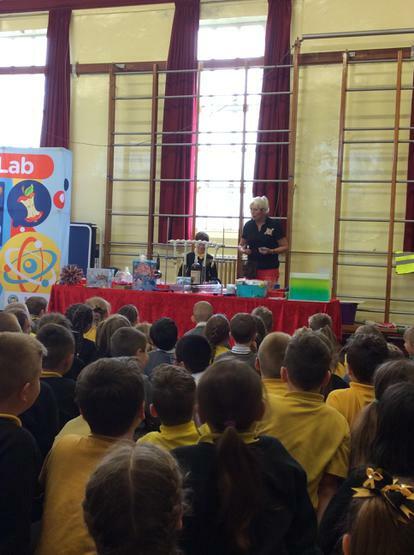 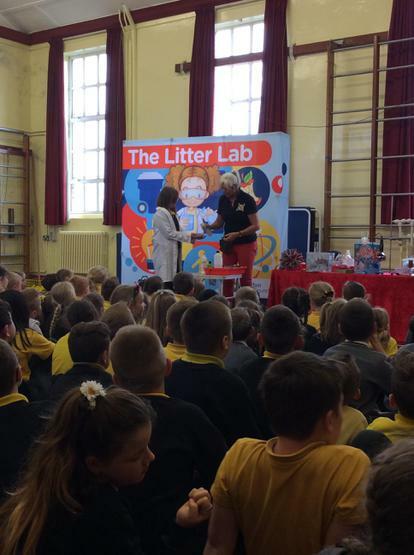 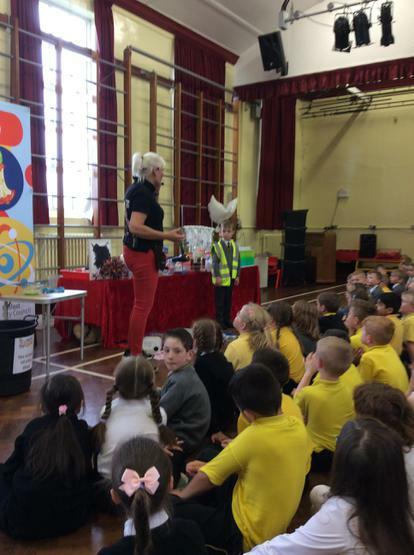 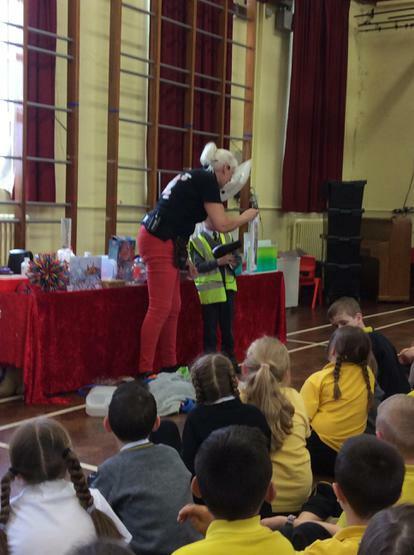 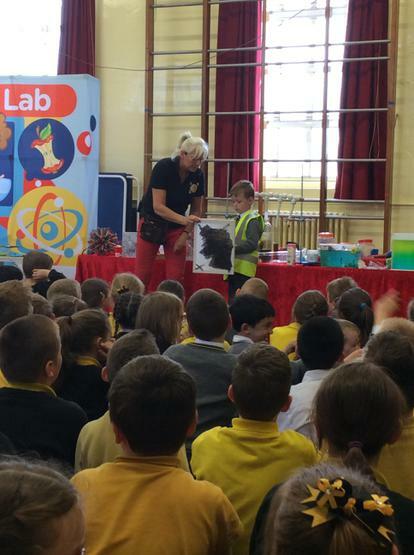 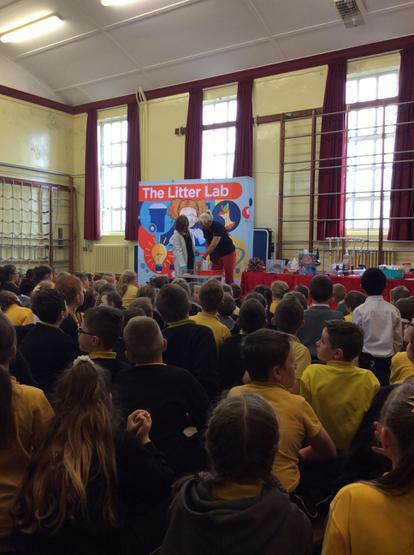 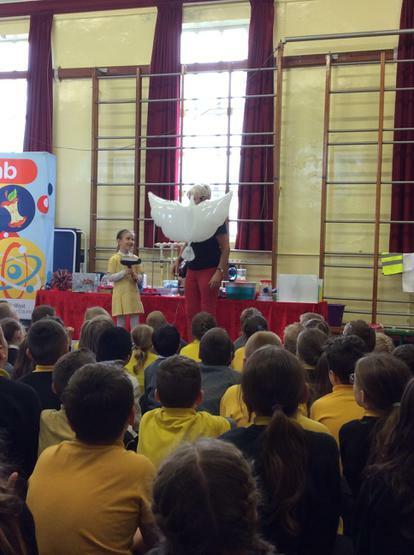 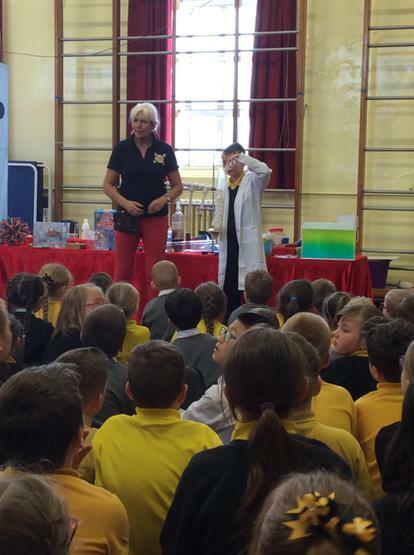 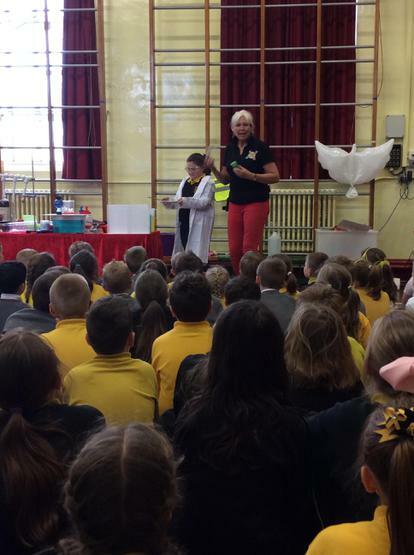 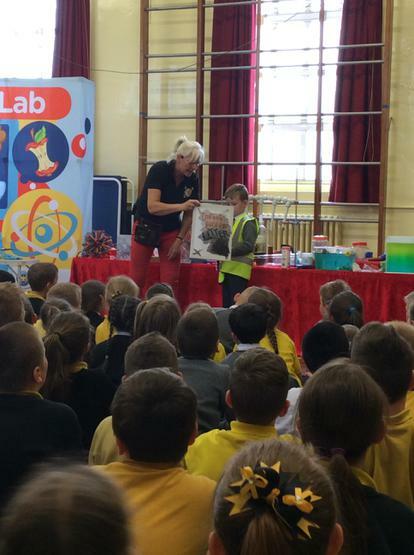 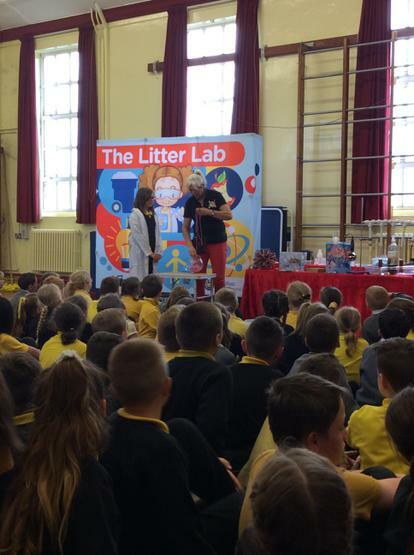 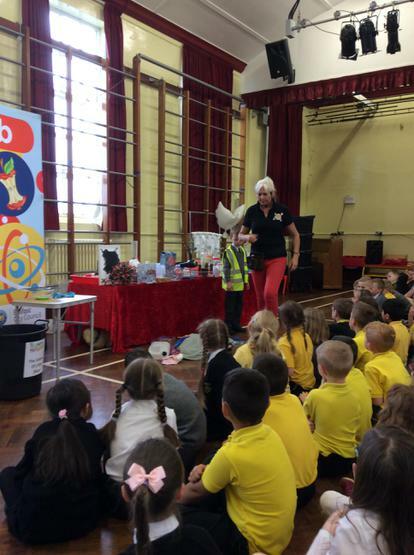 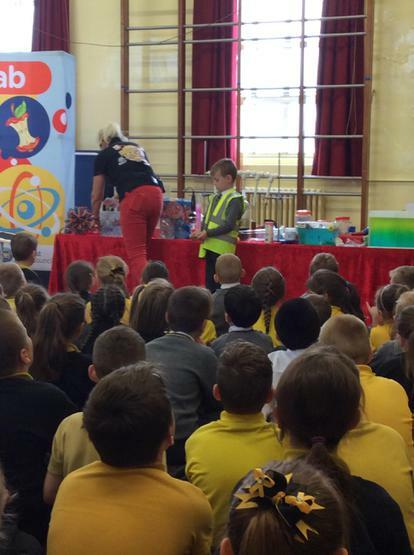 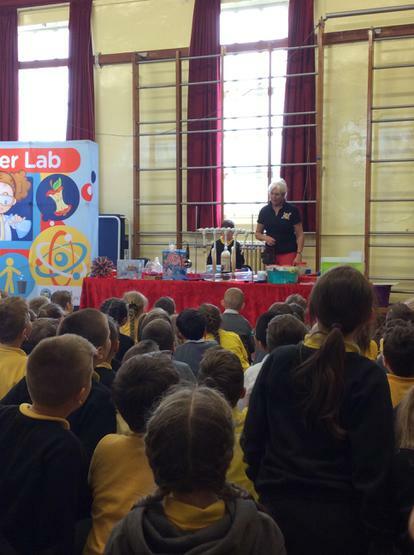 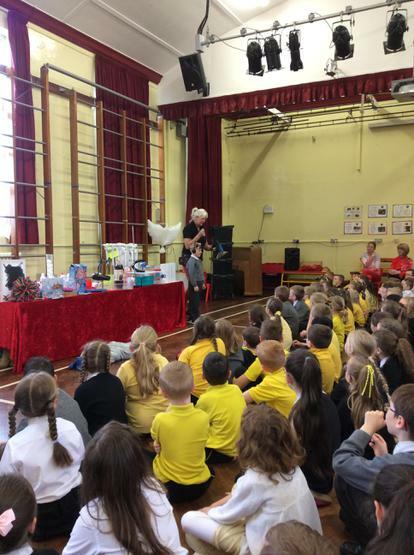 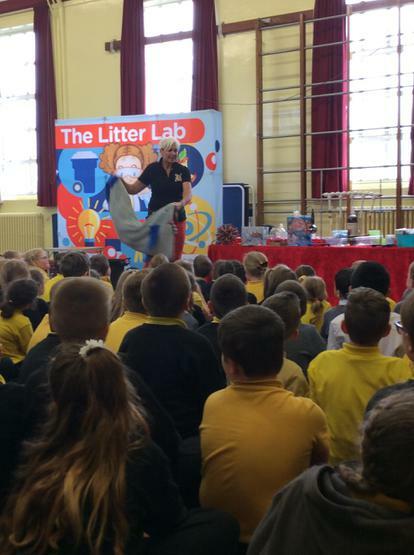 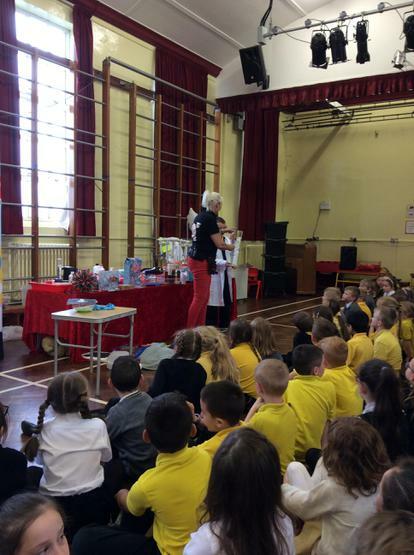 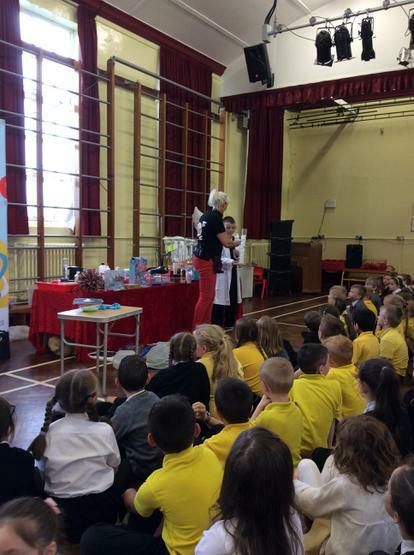 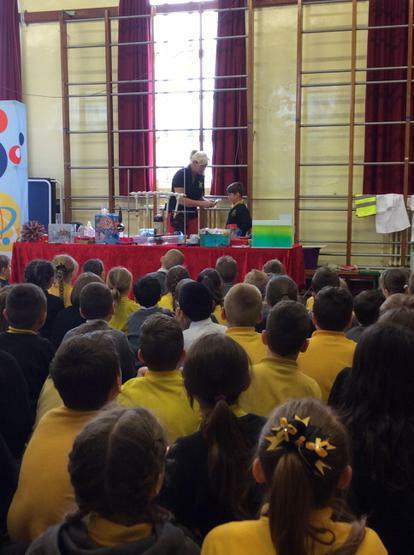 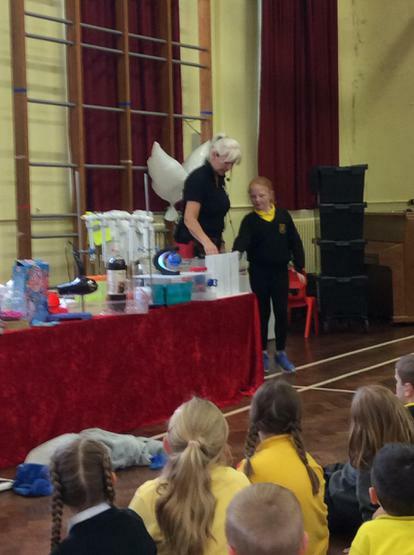 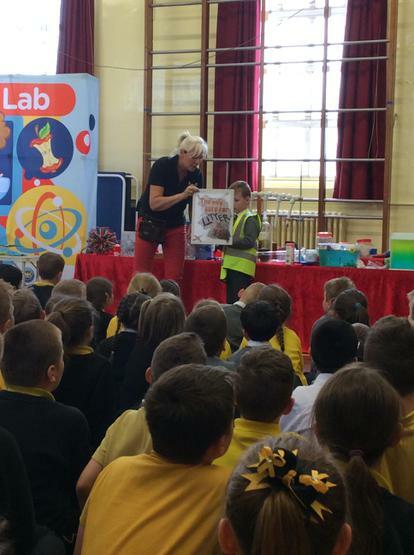 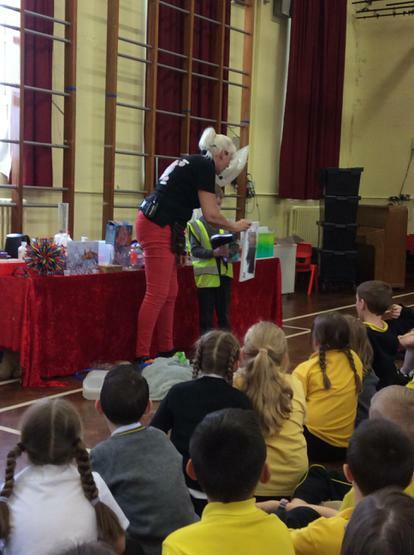 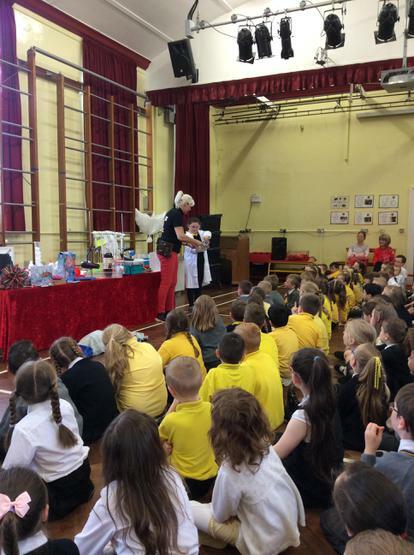 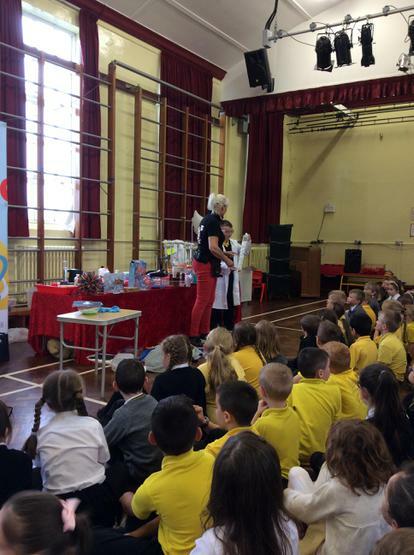 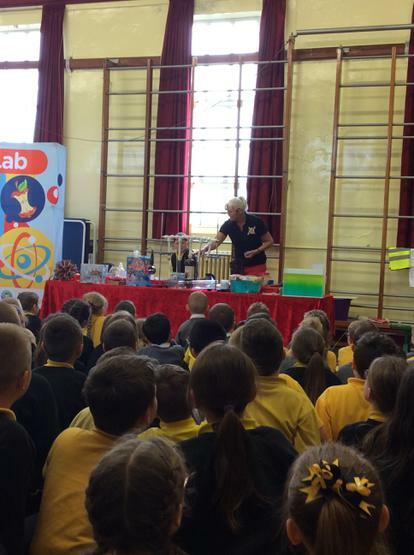 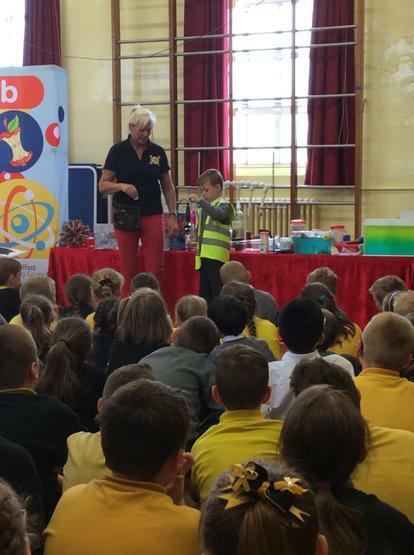 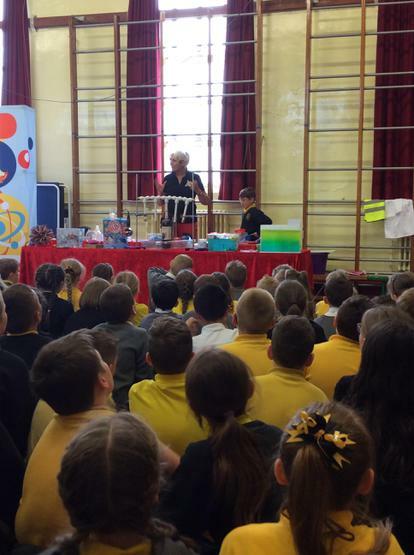 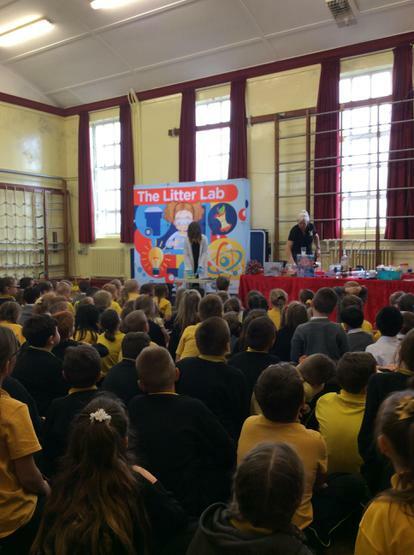 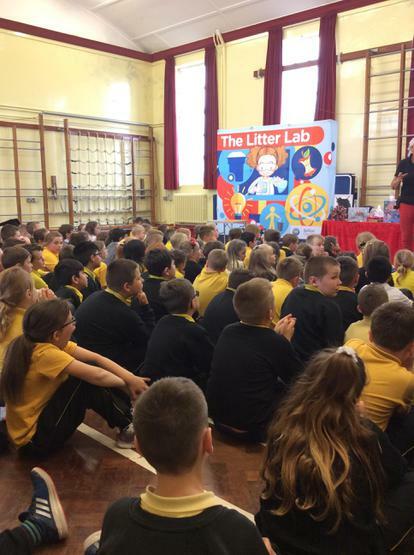 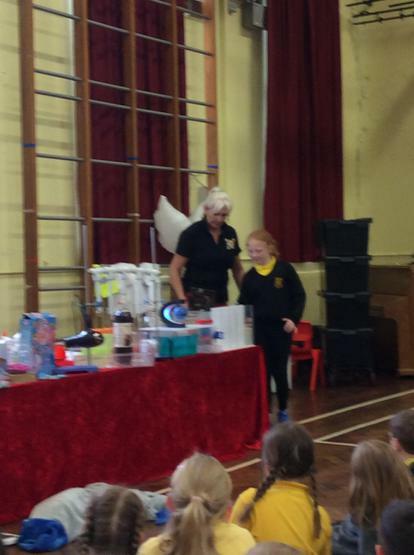 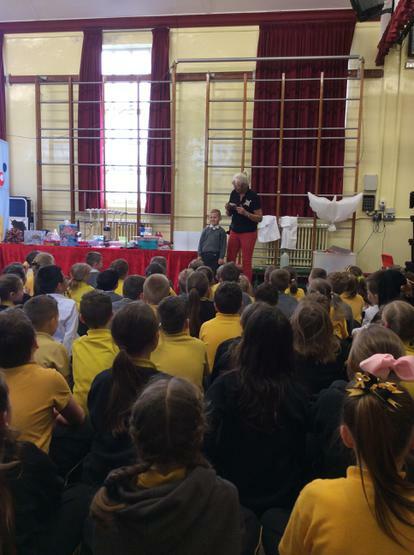 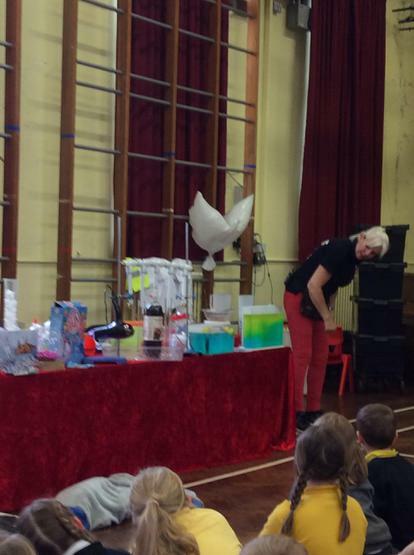 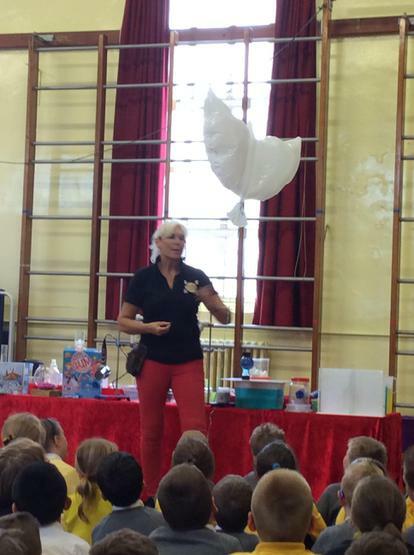 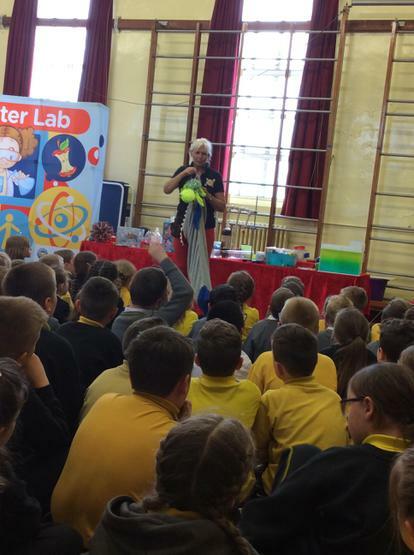 Science Day with scientific Sue! 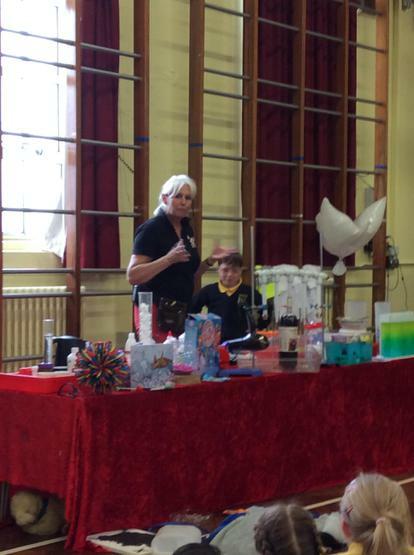 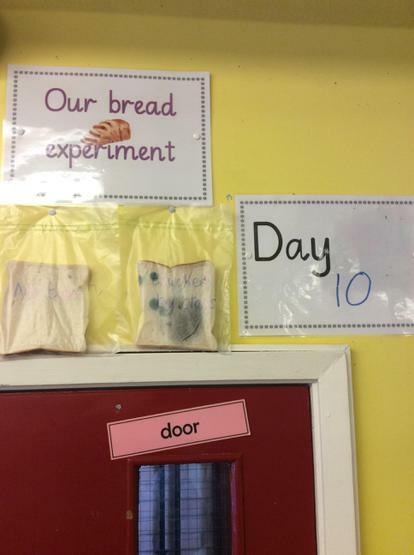 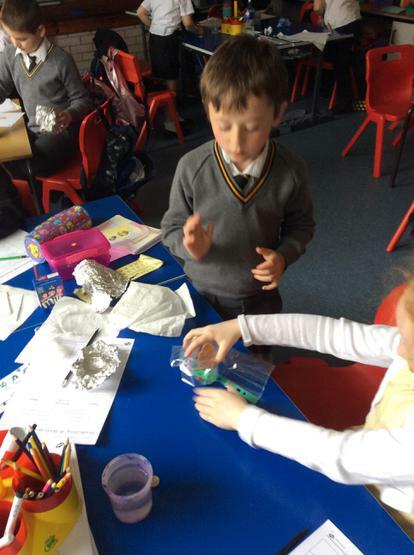 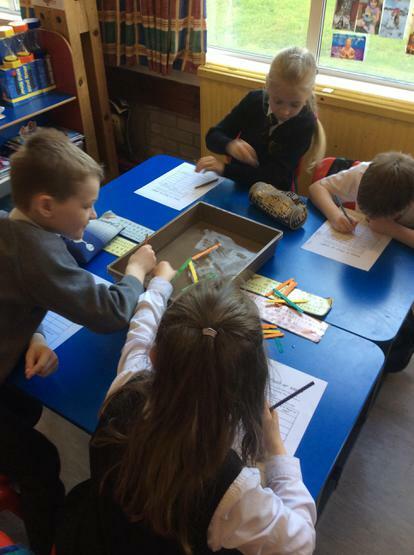 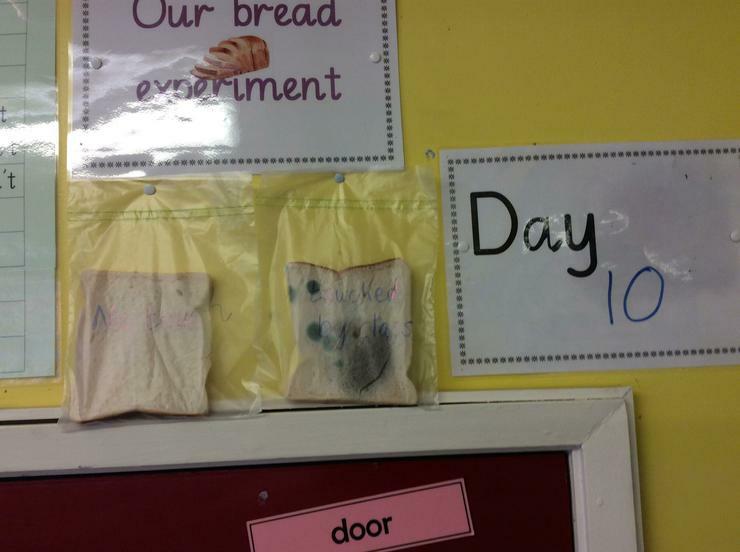 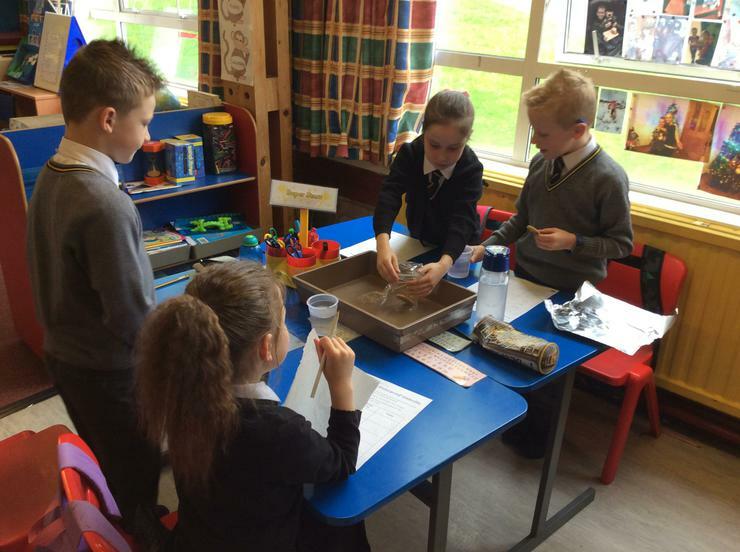 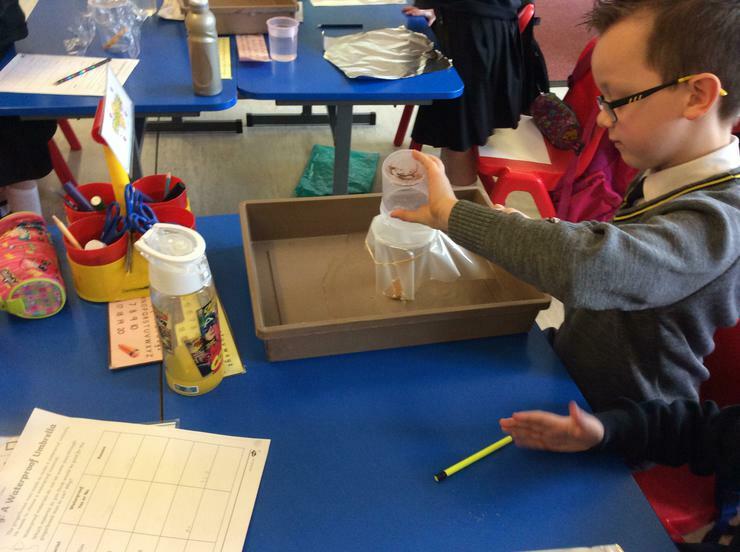 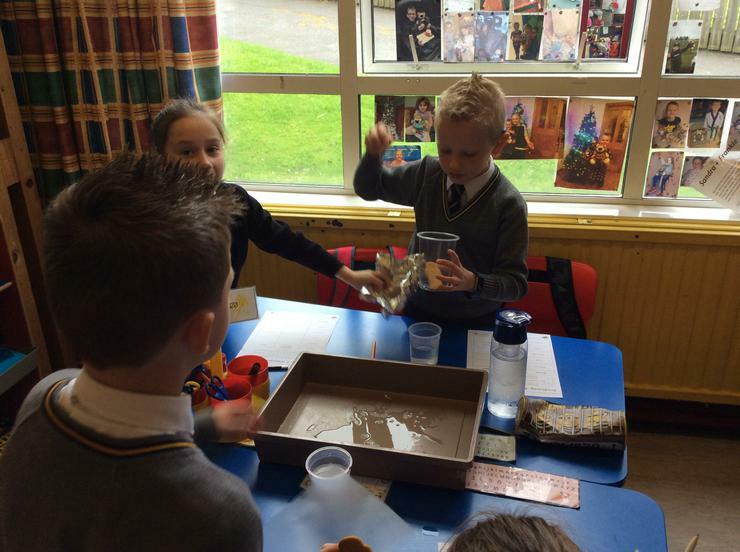 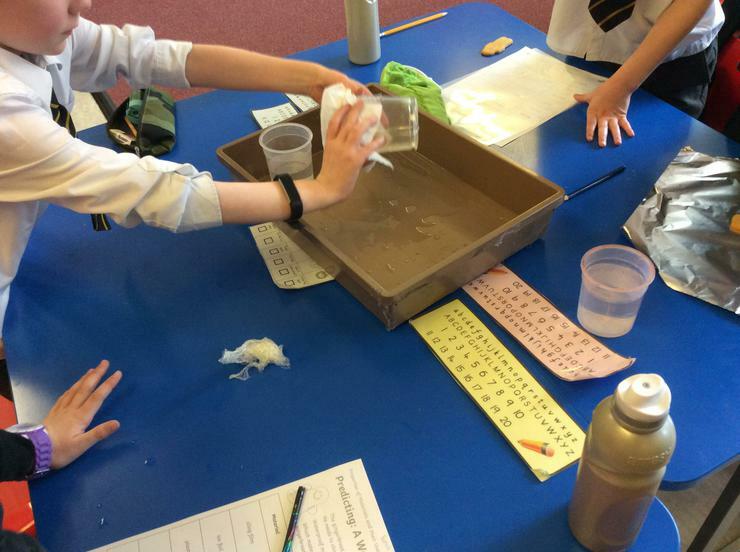 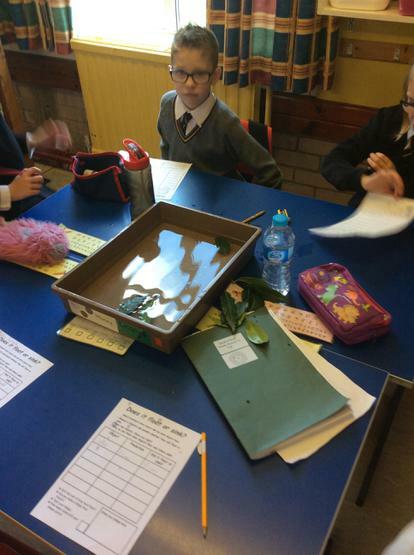 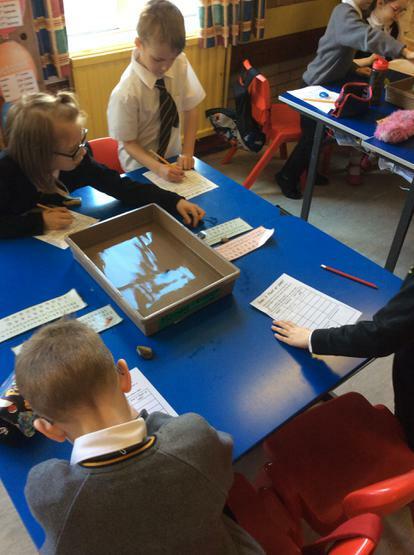 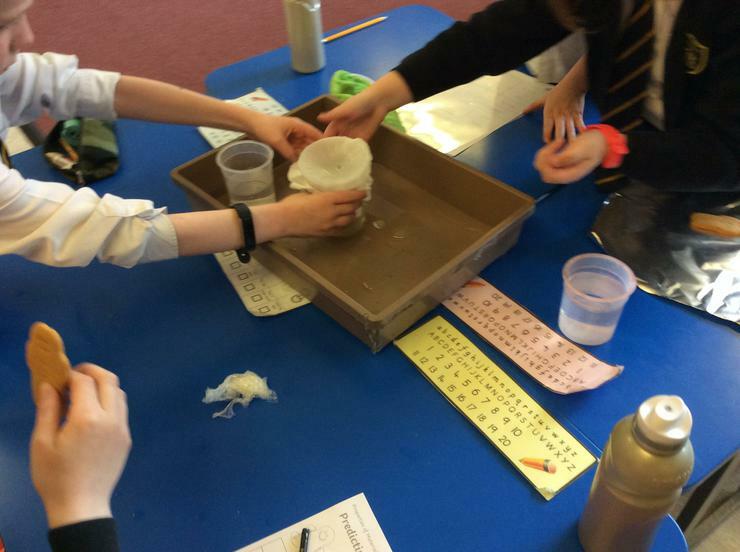 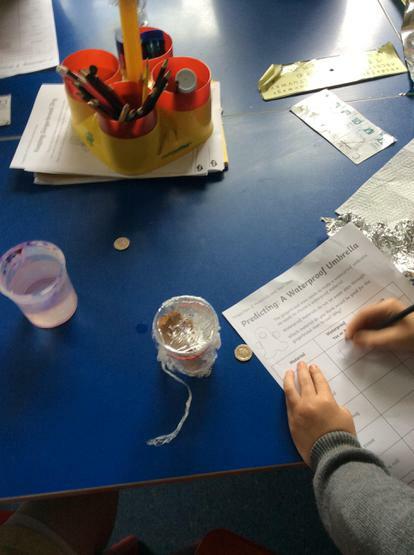 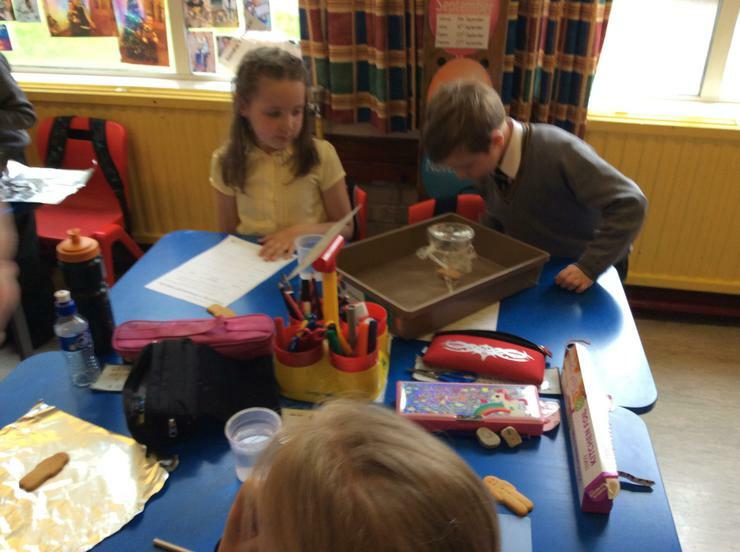 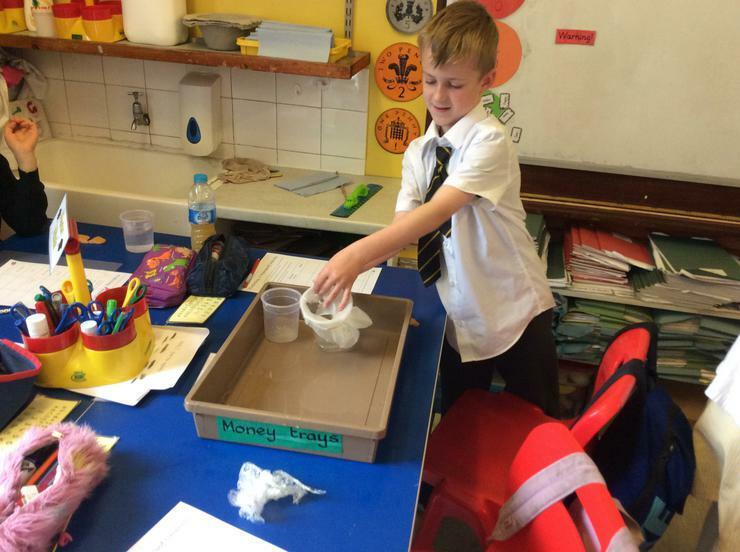 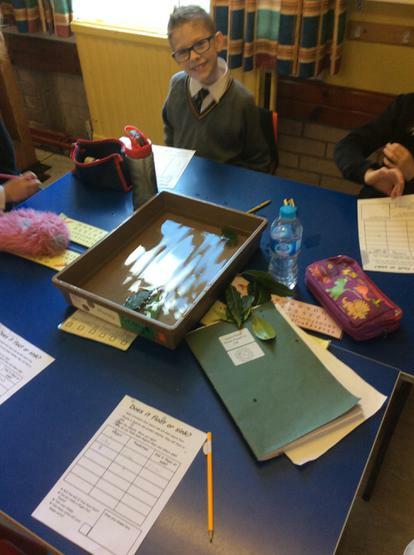 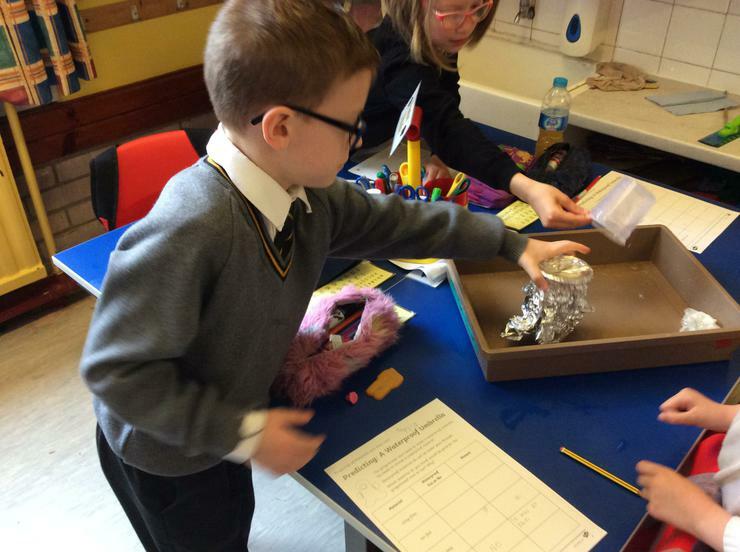 Science Day! 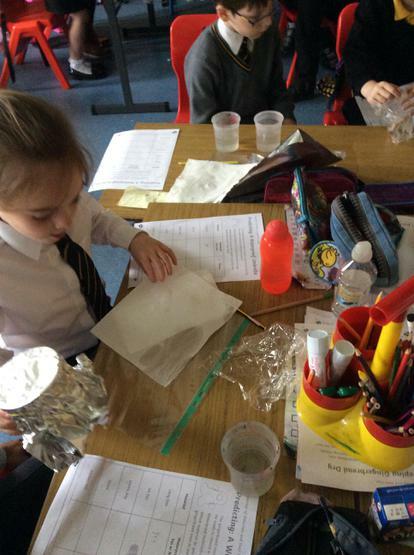 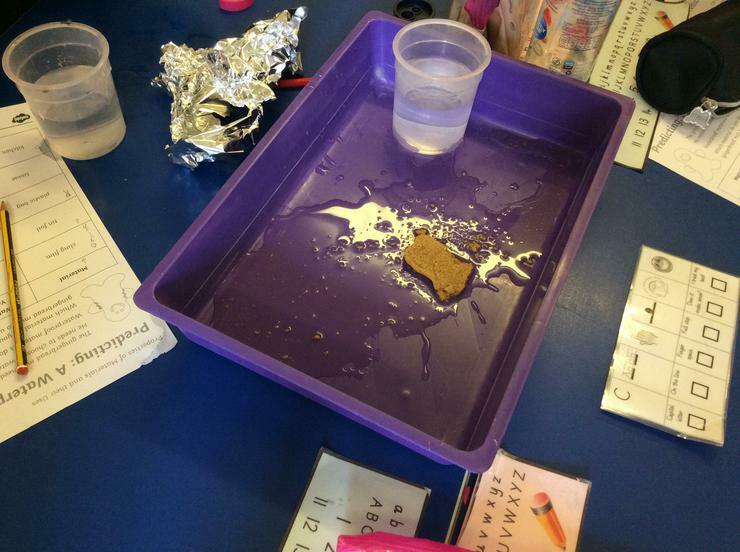 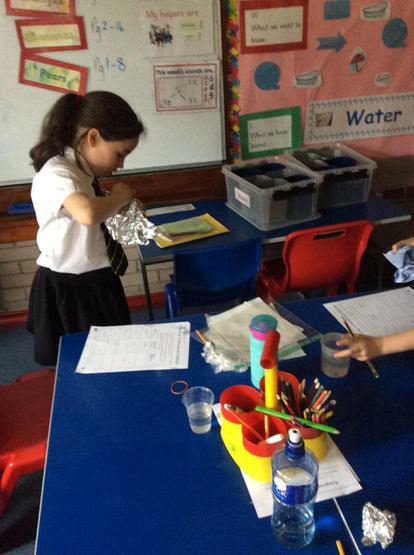 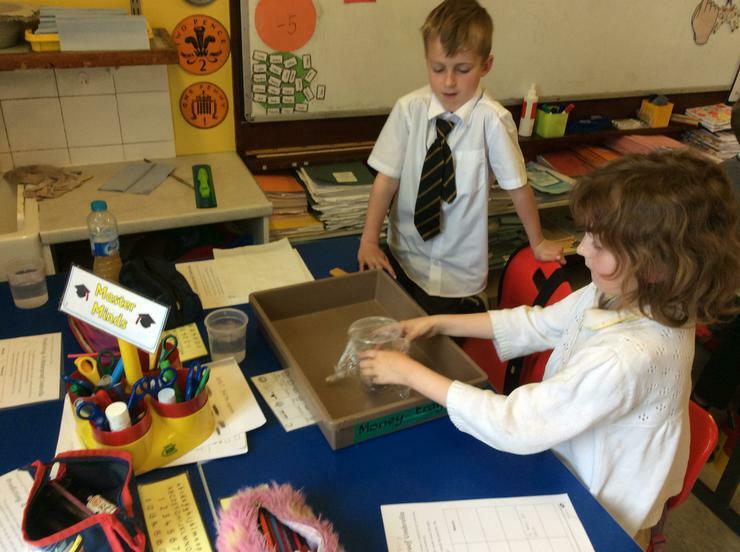 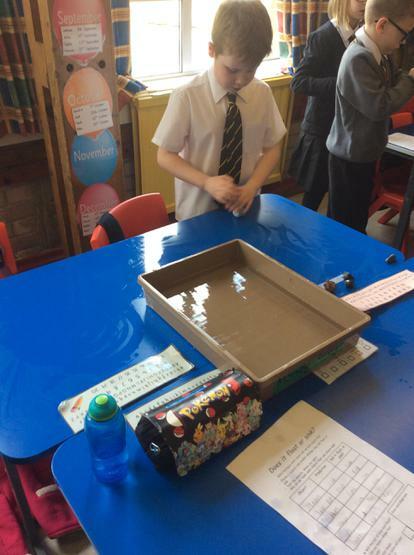 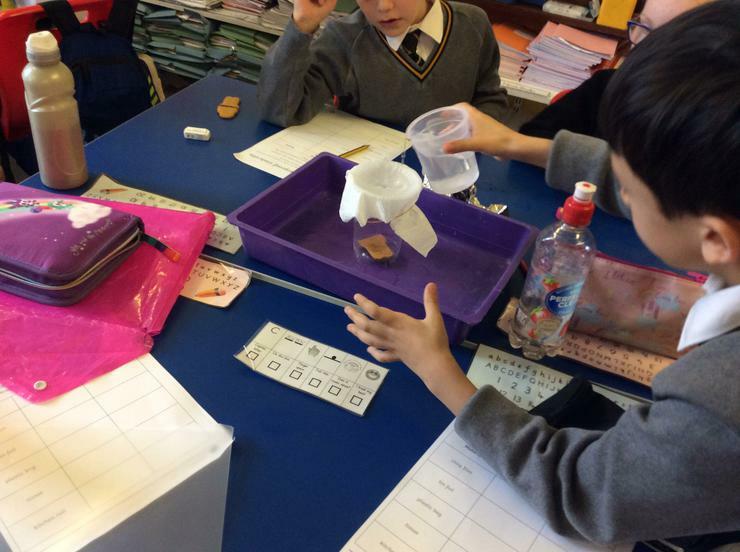 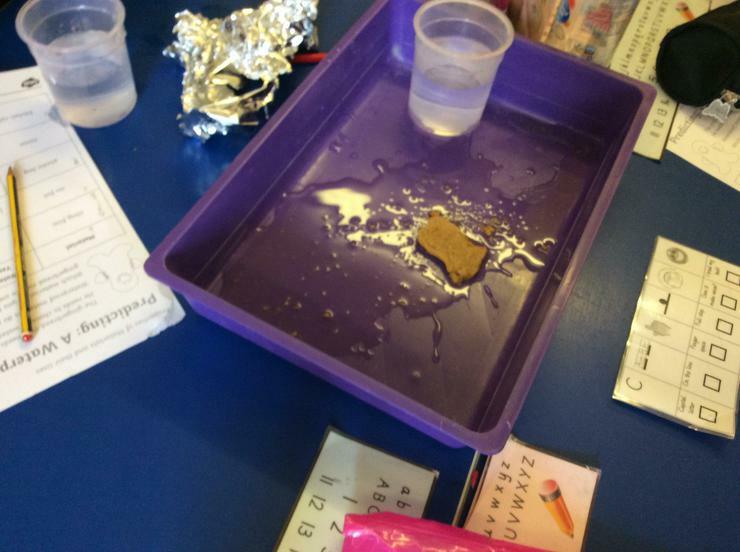 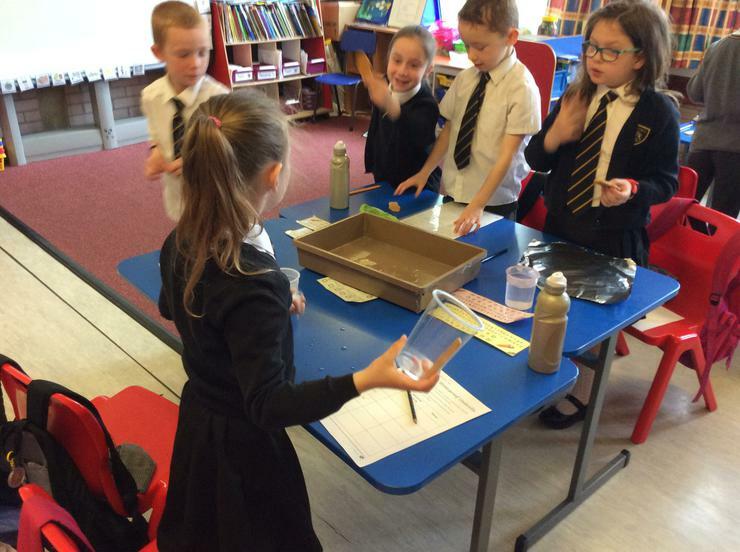 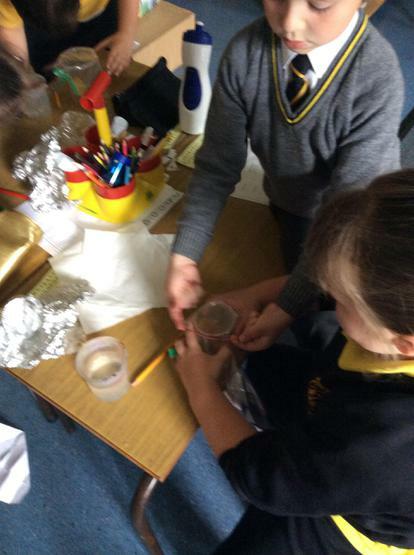 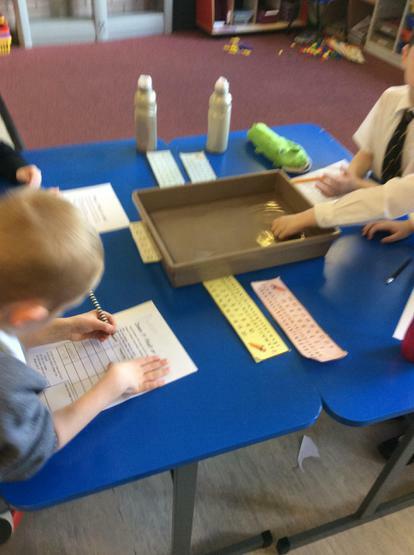 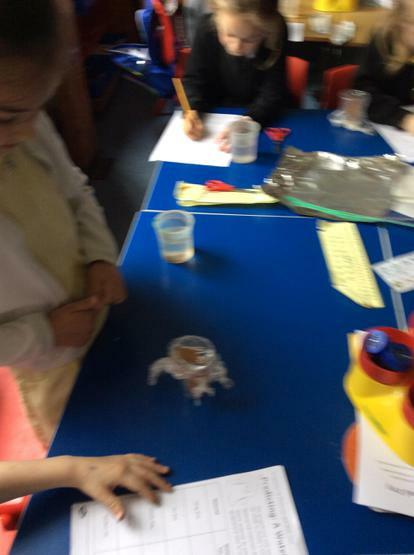 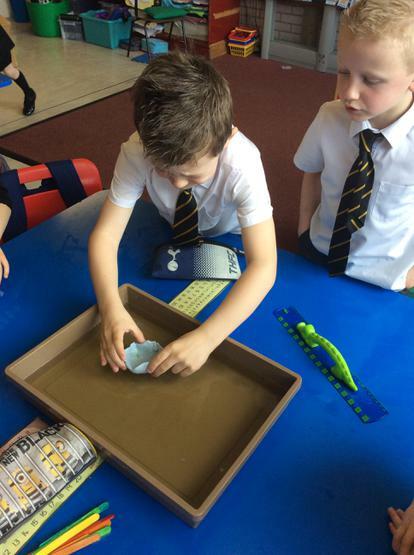 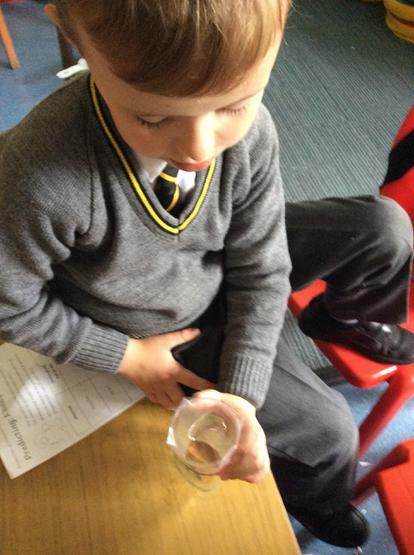 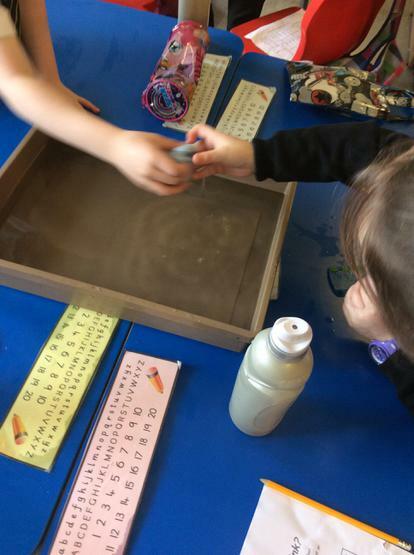 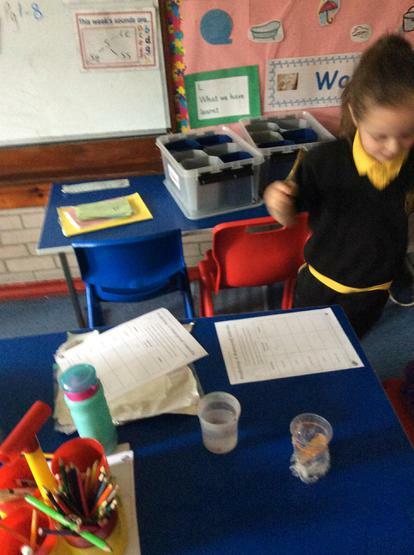 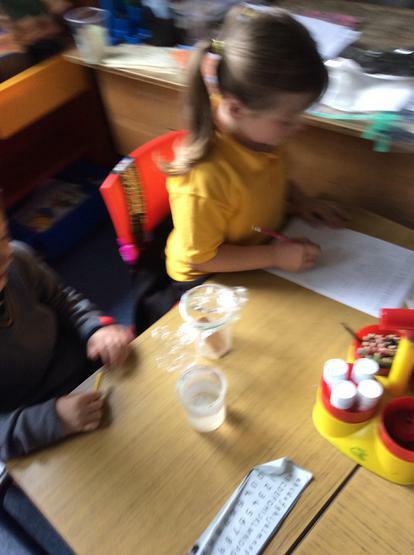 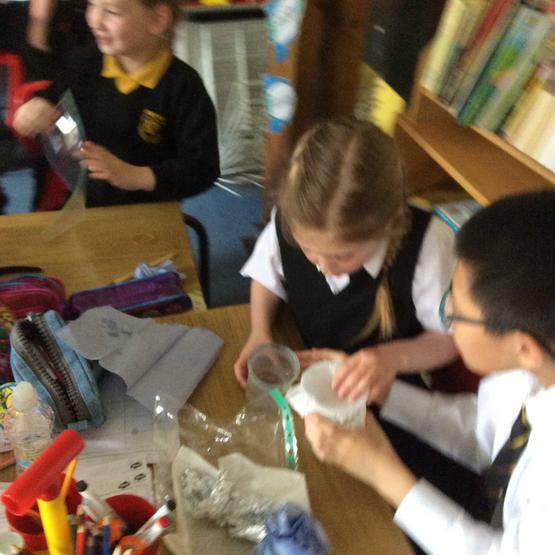 We were looking at waterproof and non water proof materials. 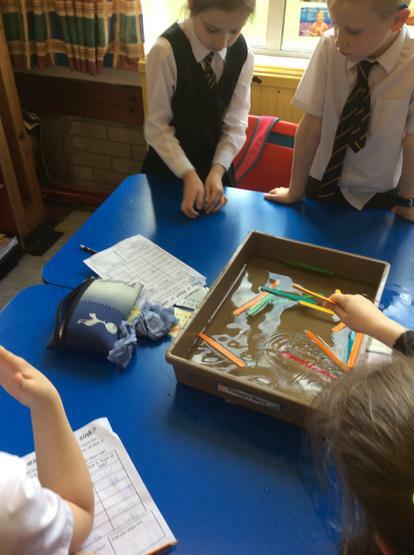 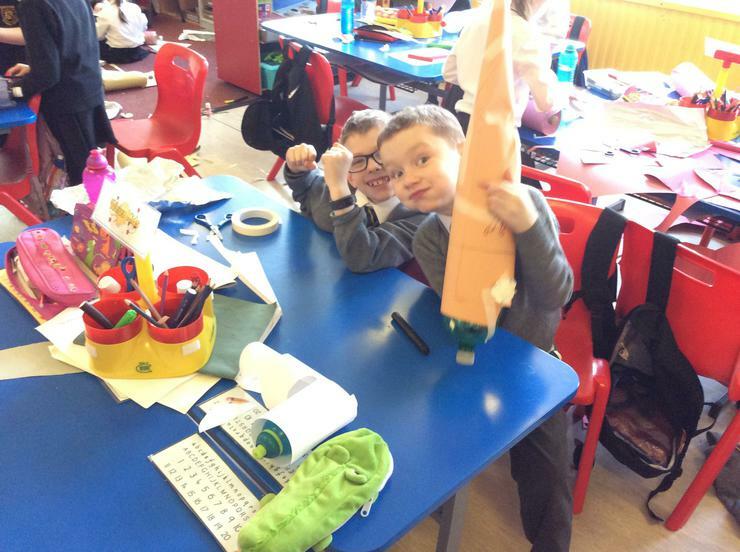 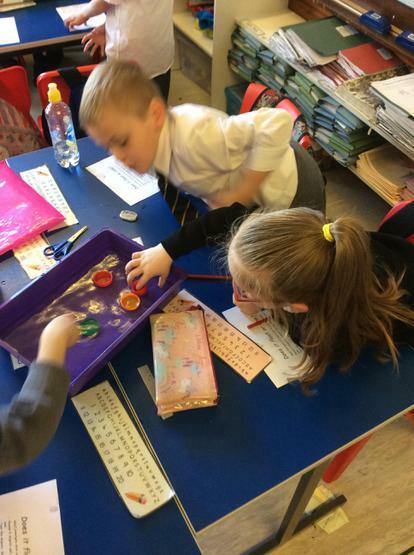 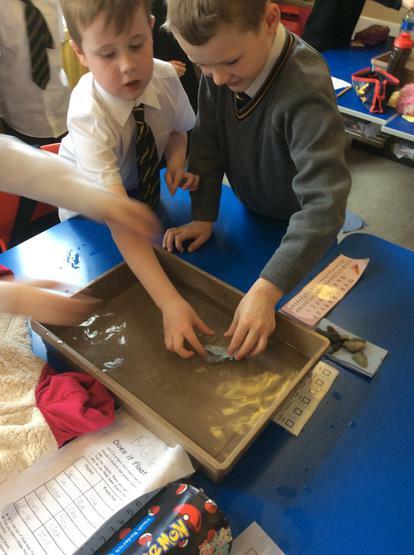 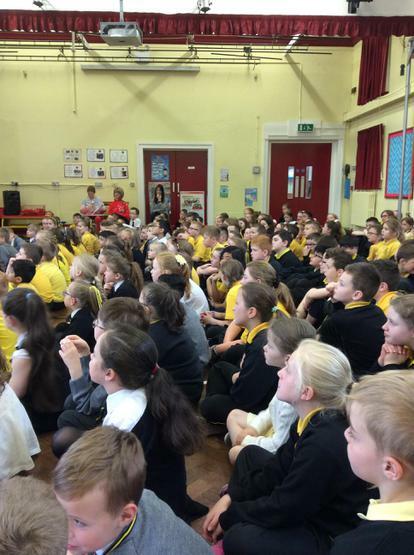 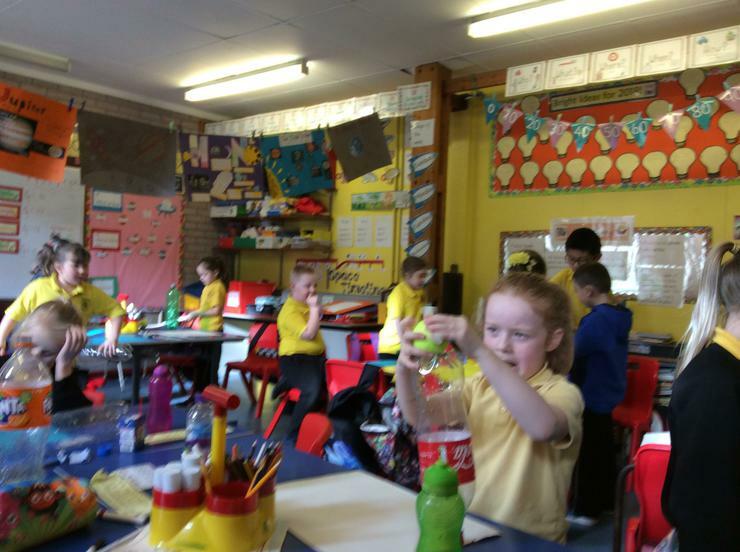 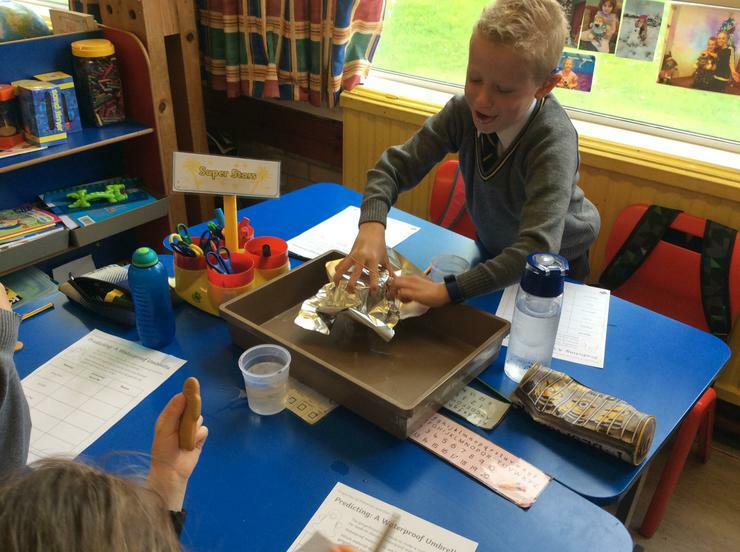 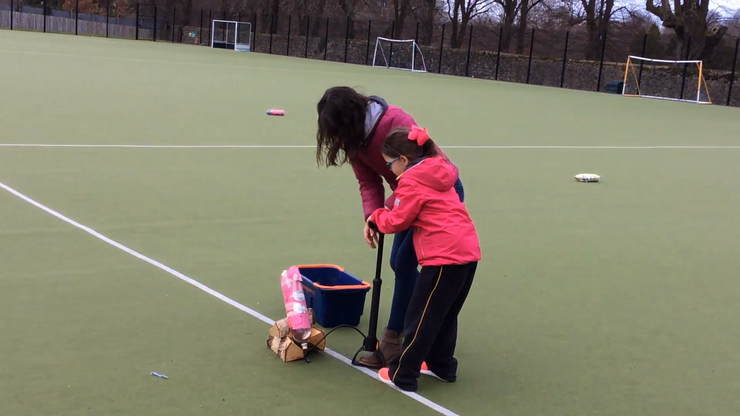 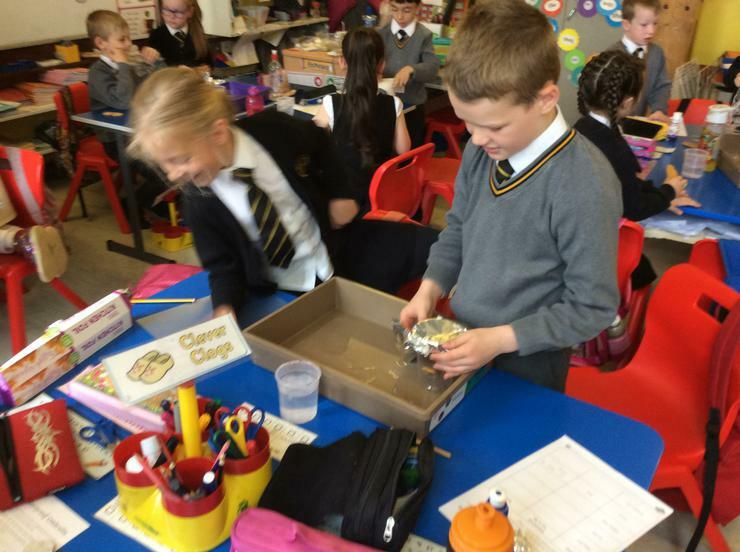 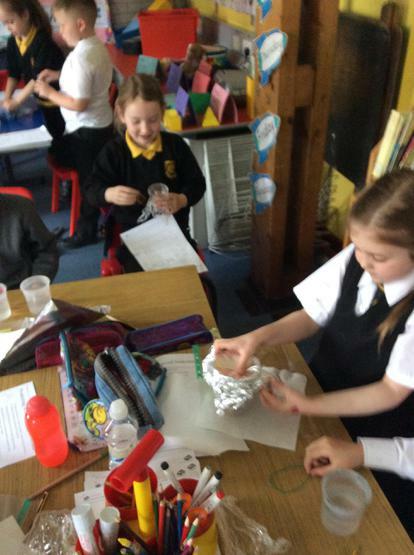 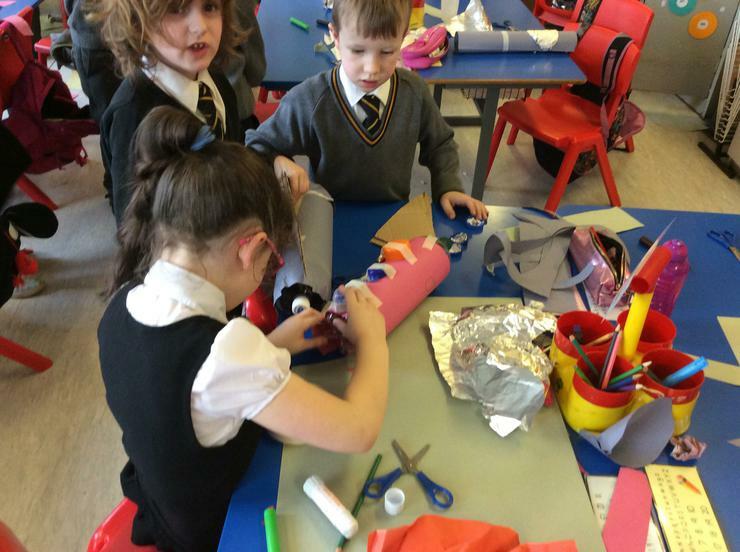 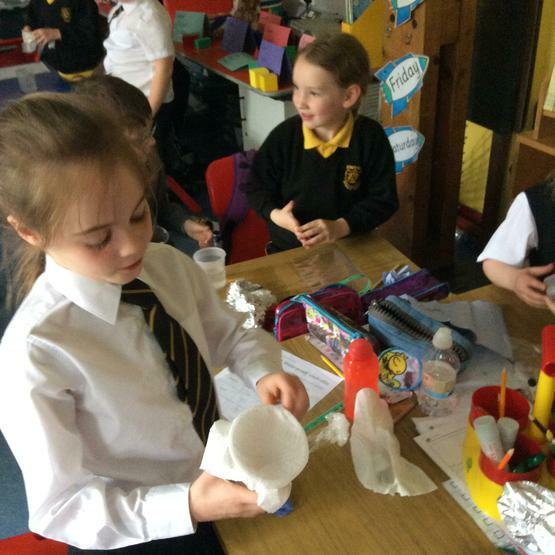 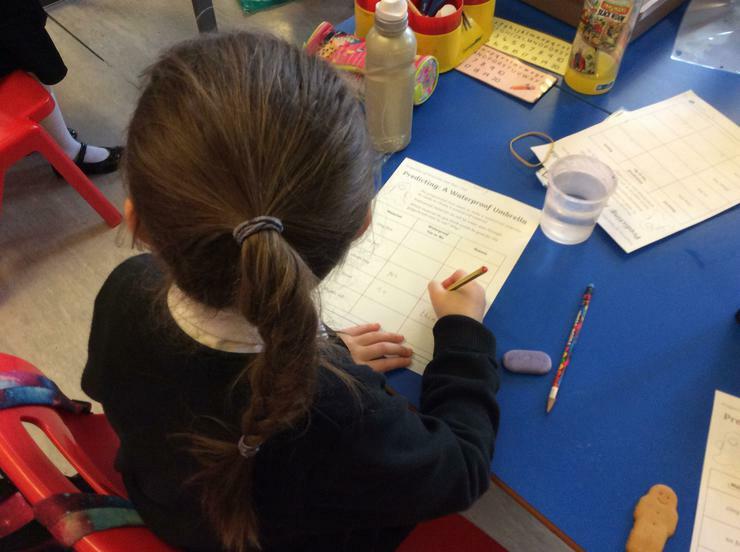 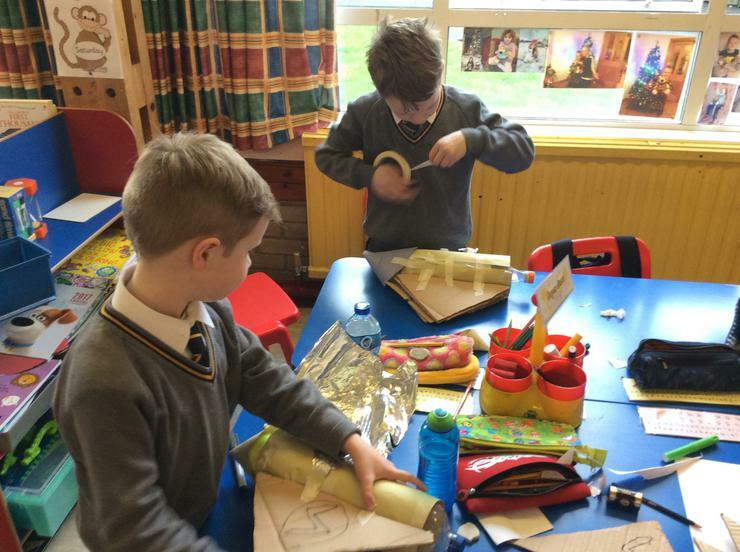 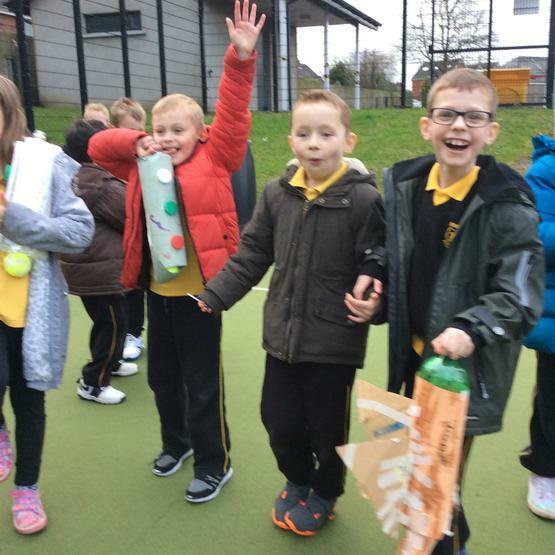 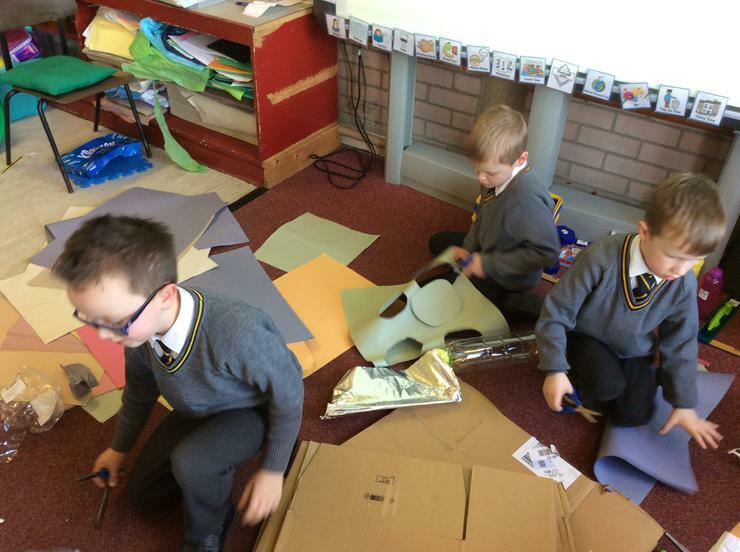 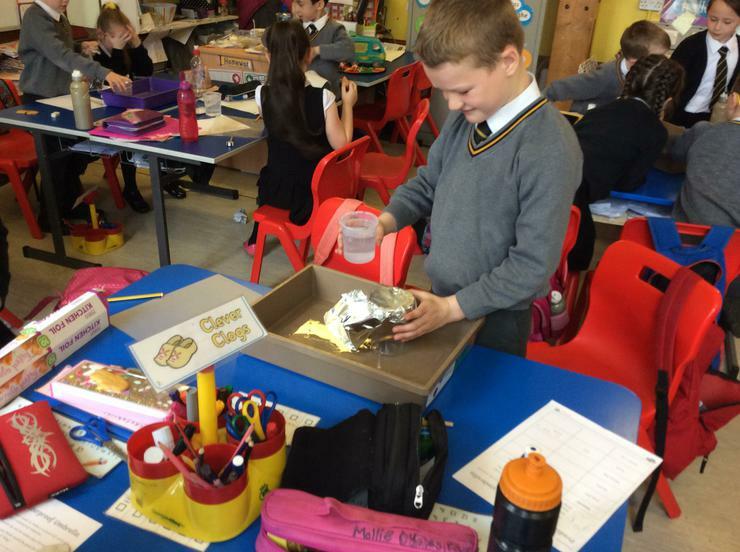 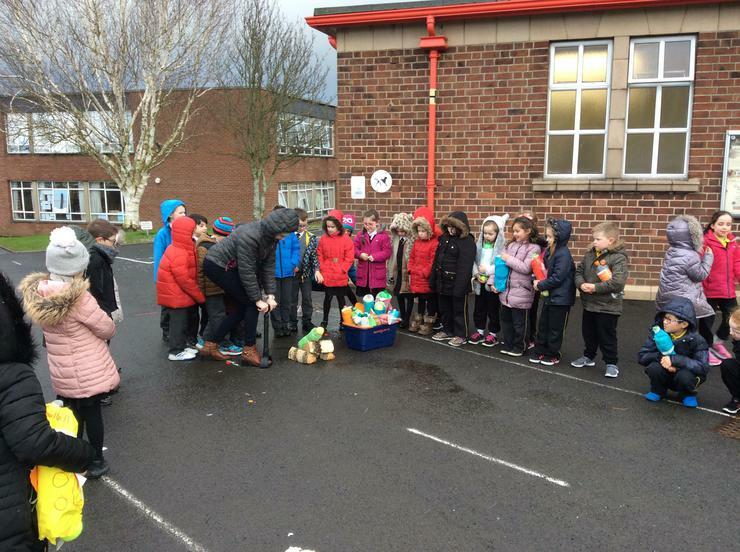 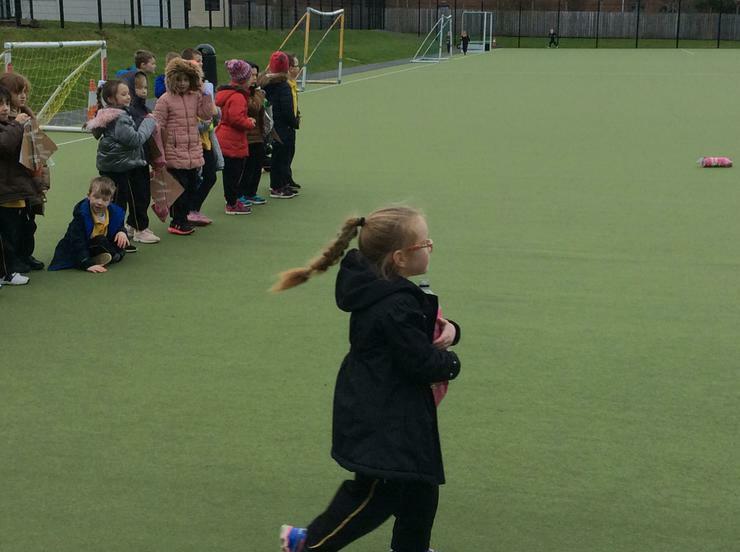 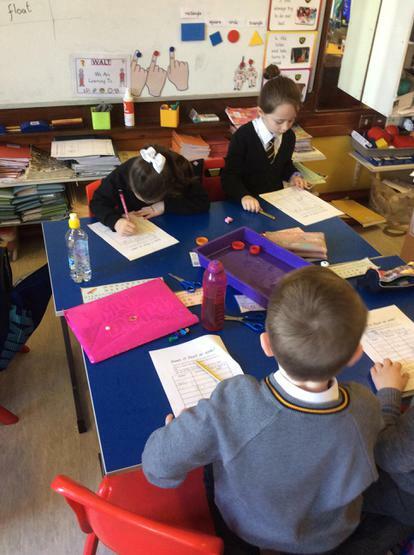 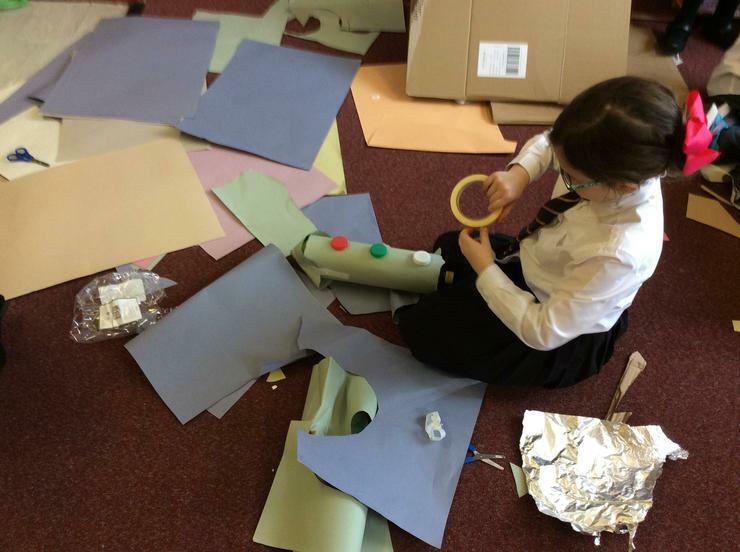 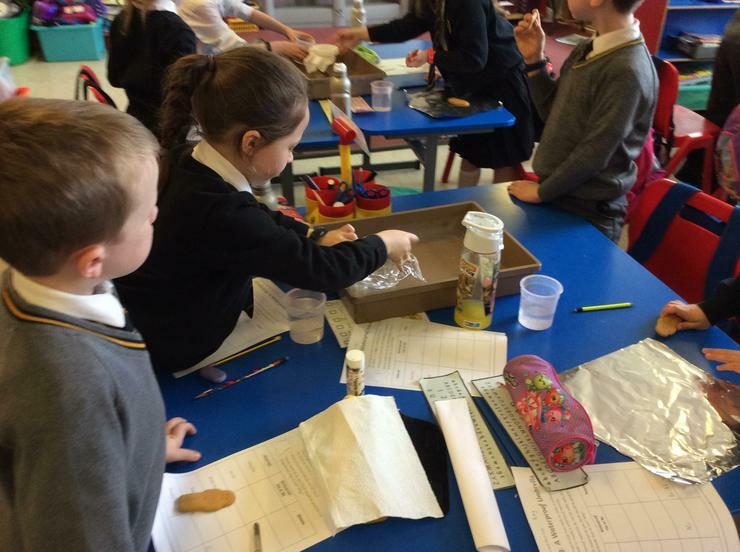 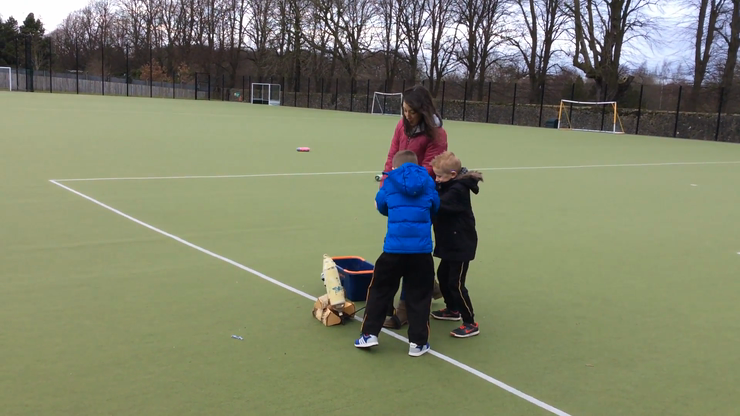 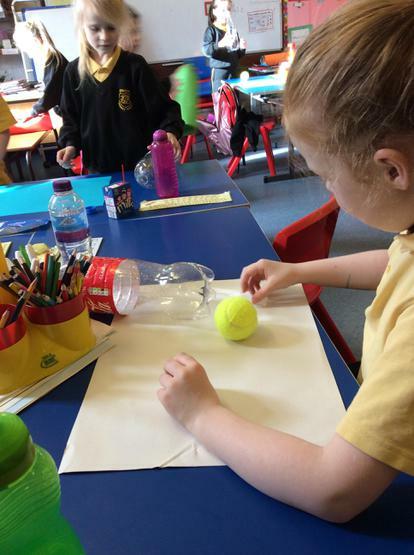 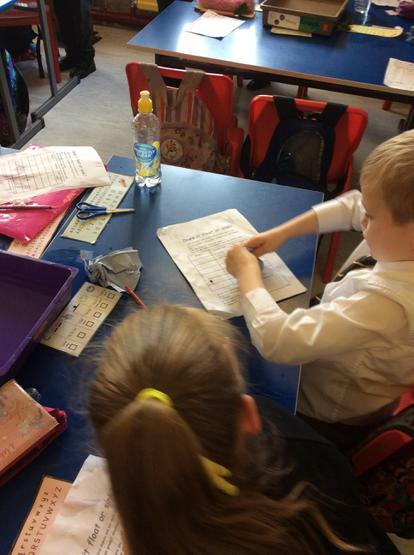 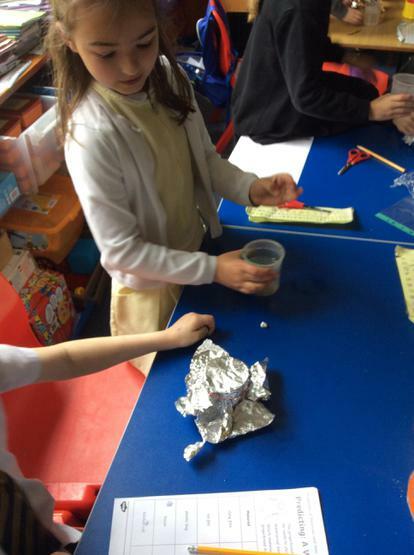 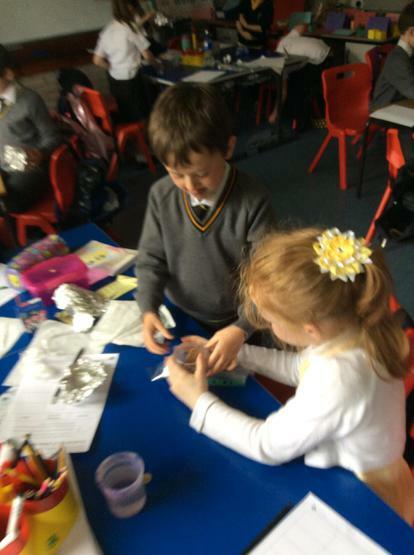 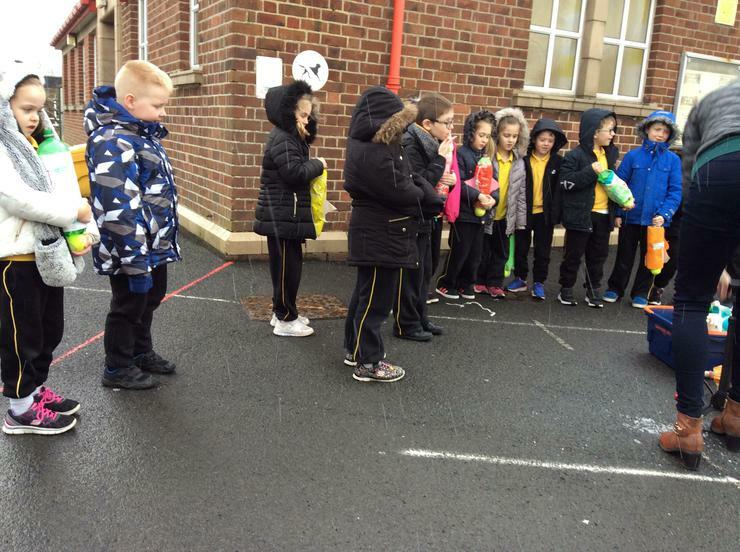 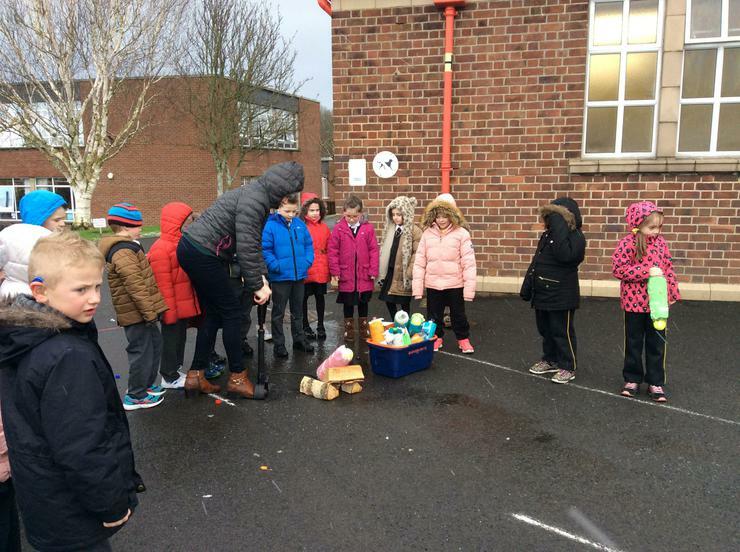 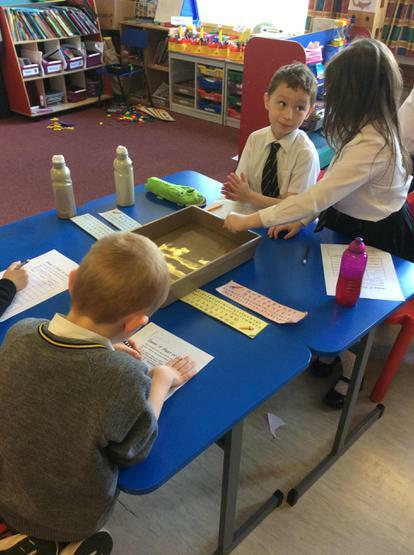 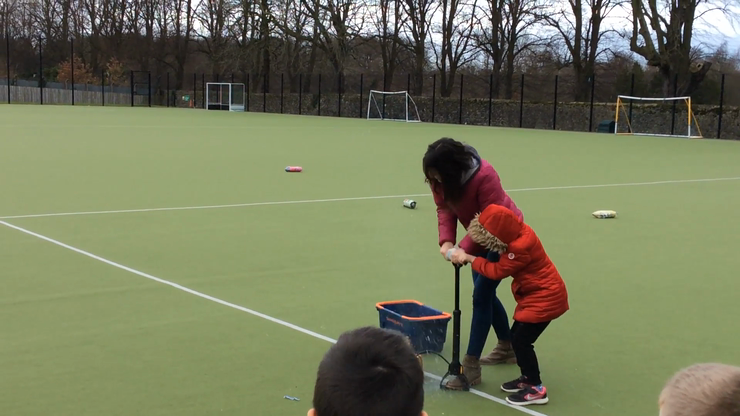 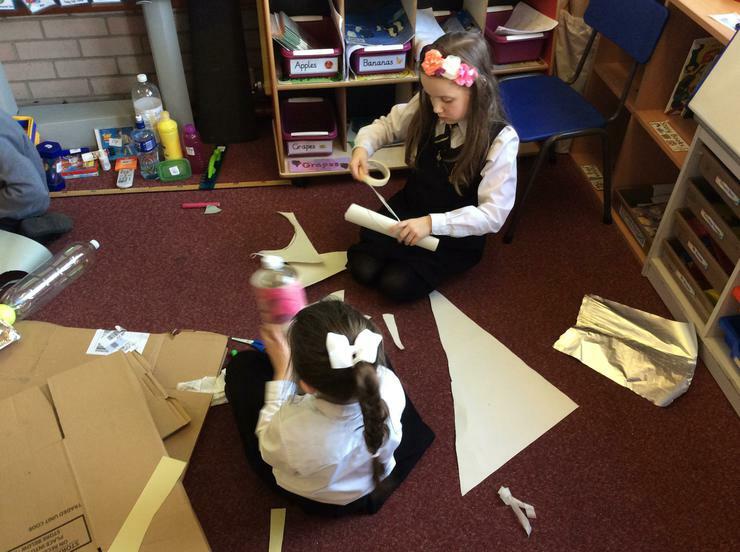 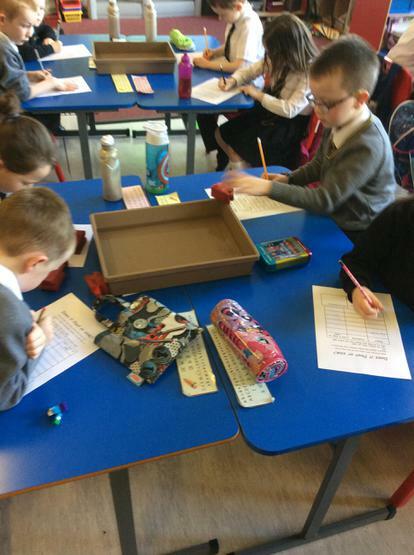 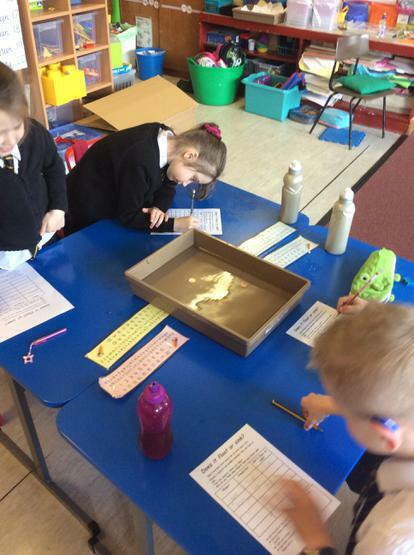 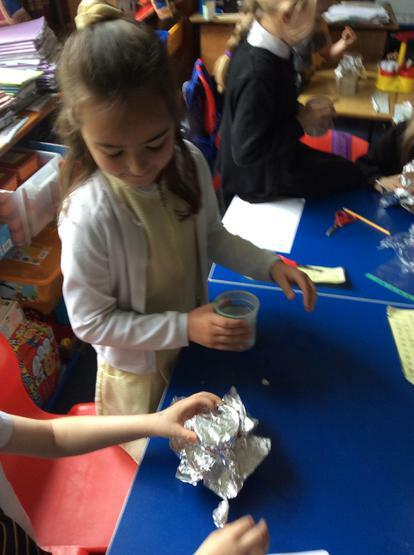 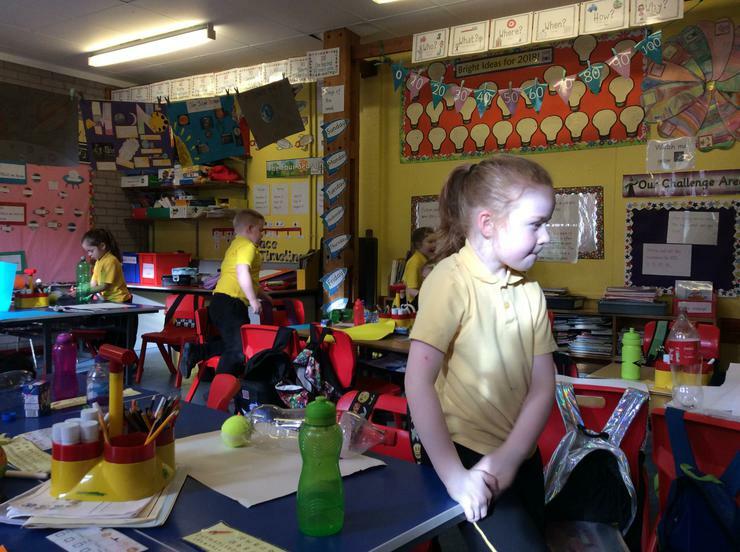 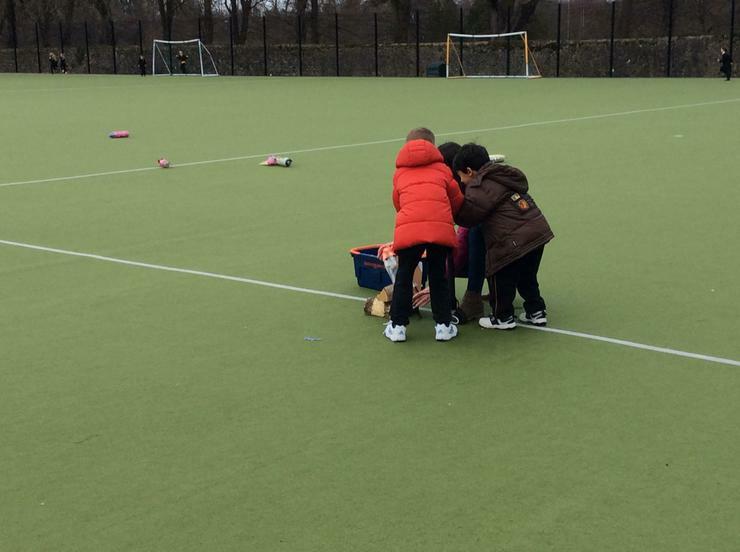 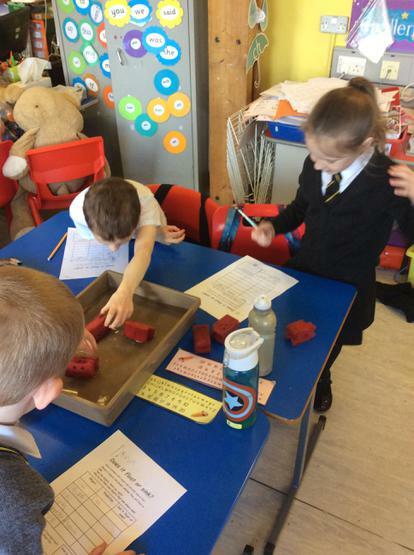 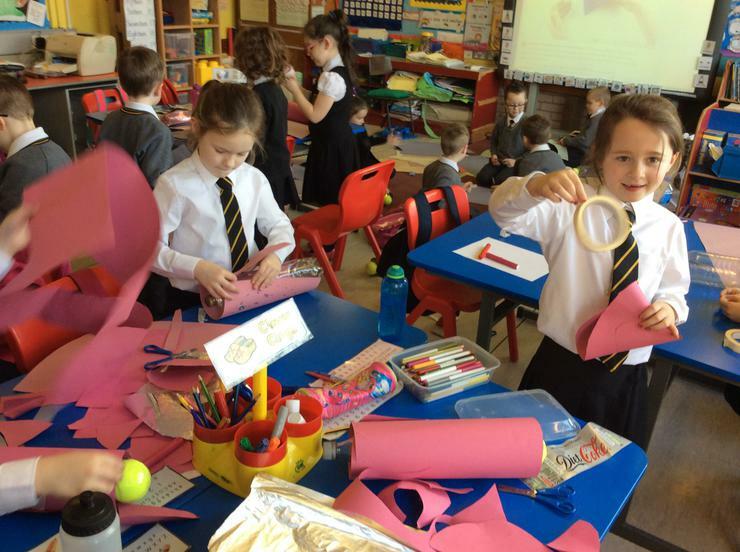 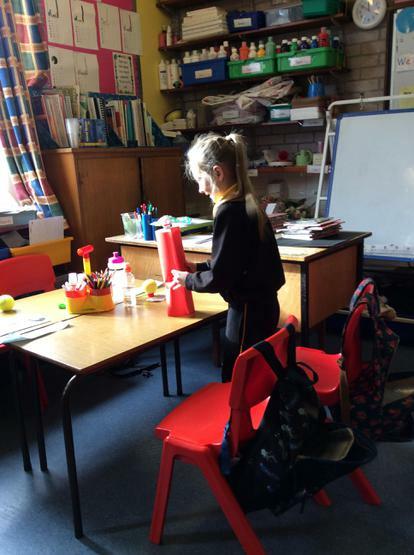 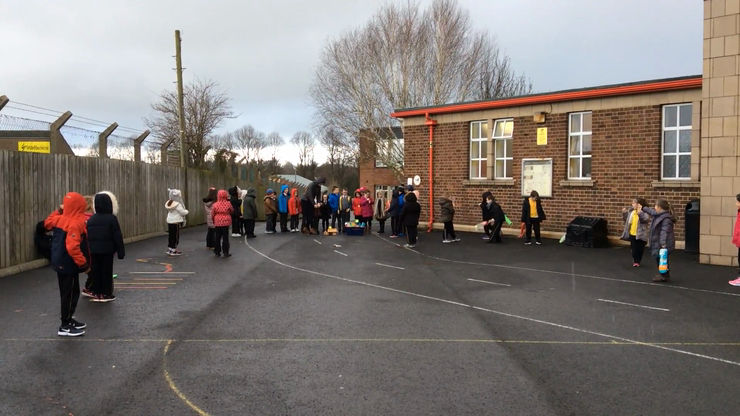 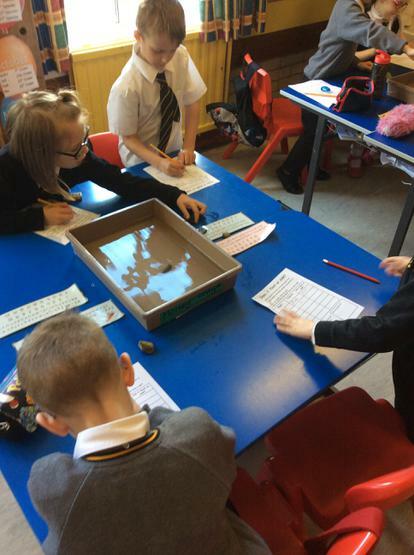 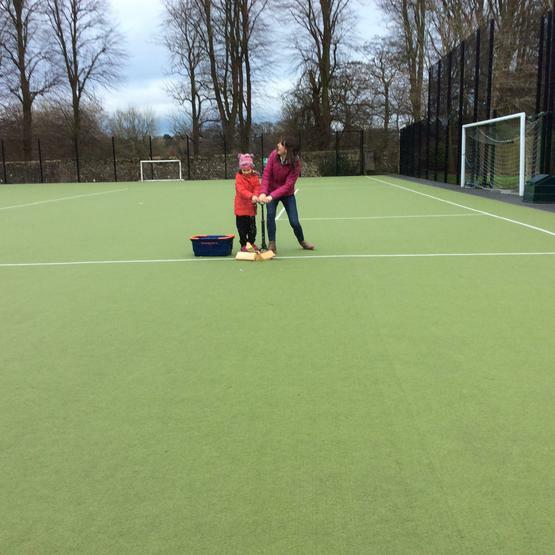 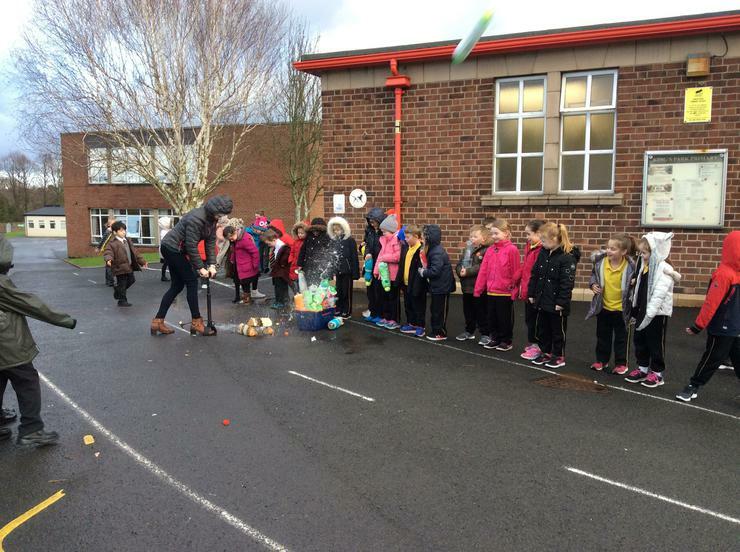 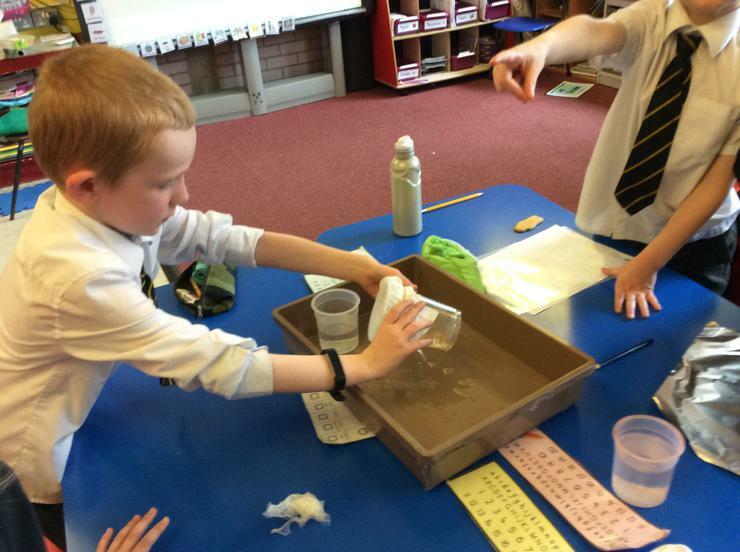 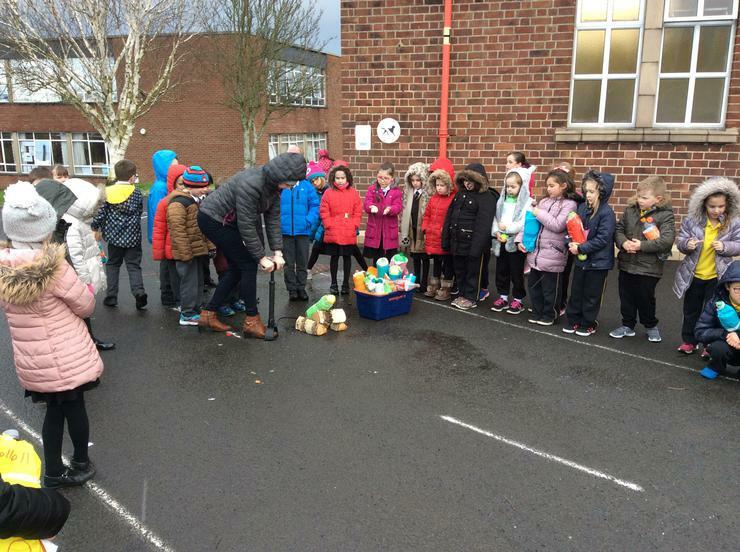 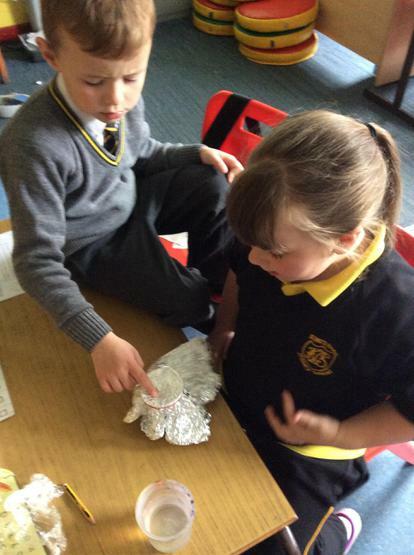 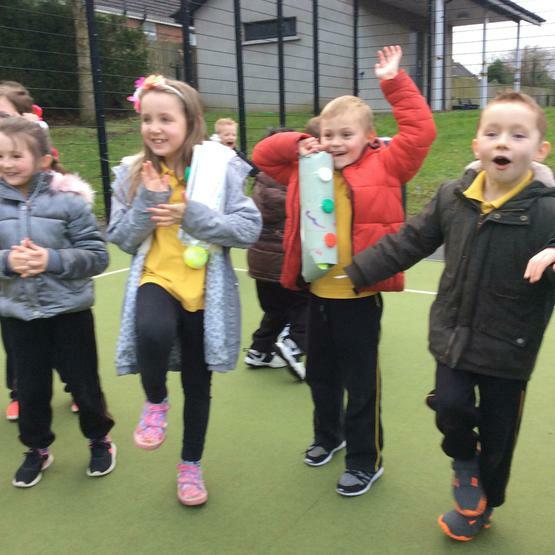 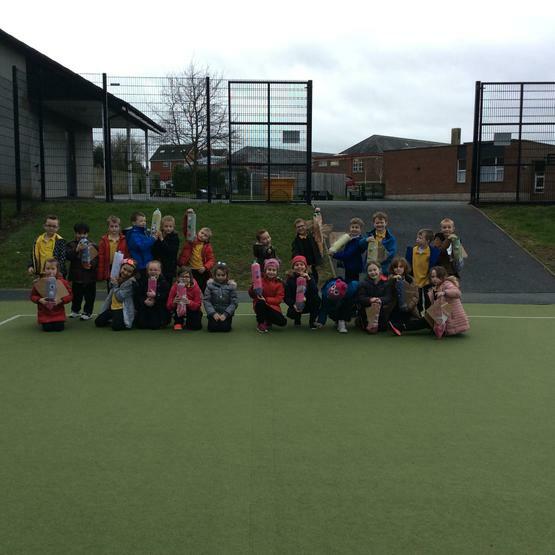 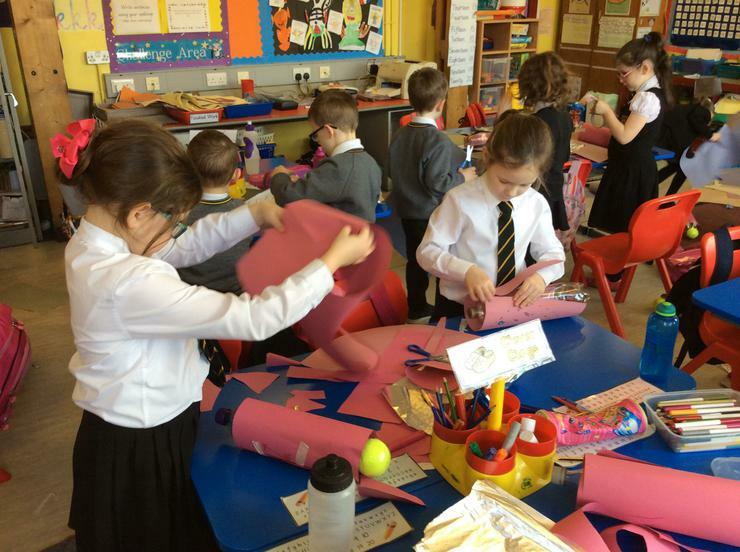 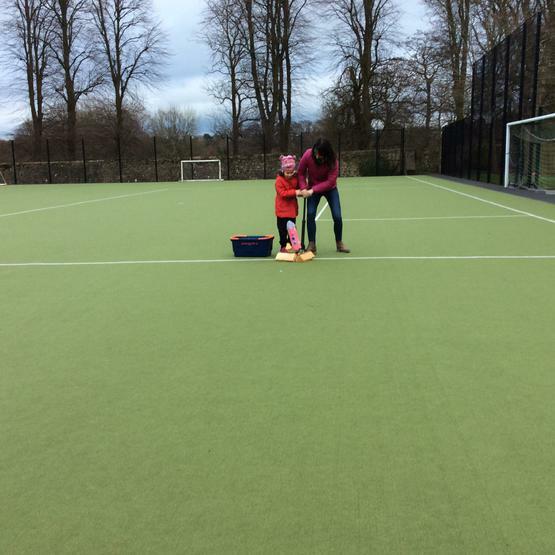 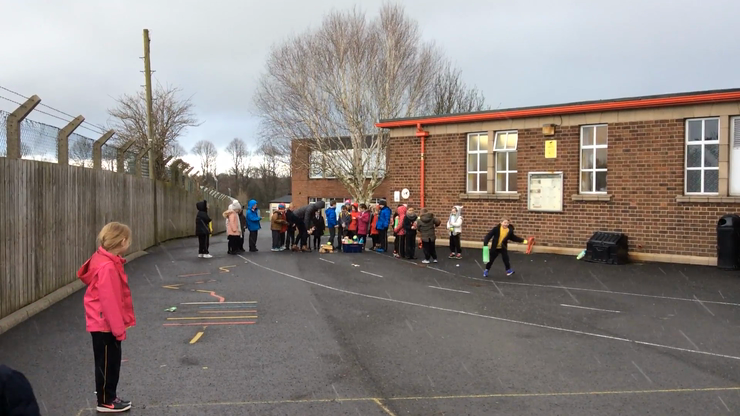 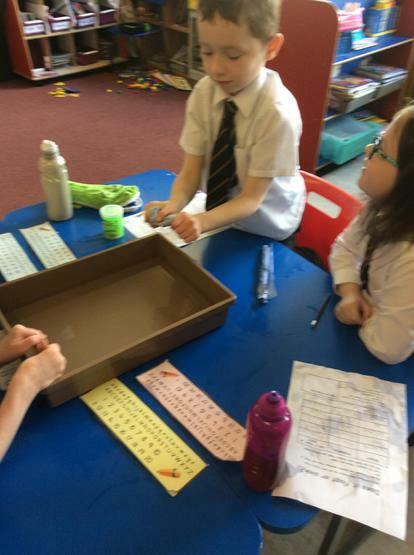 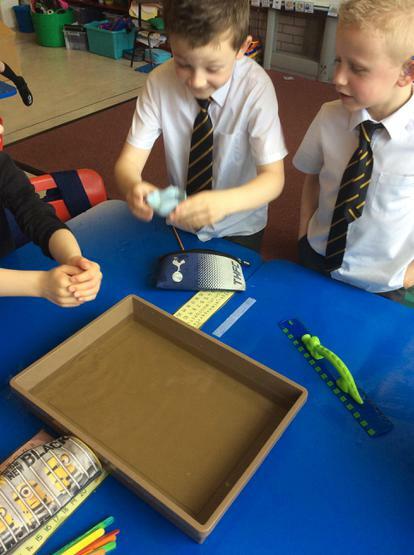 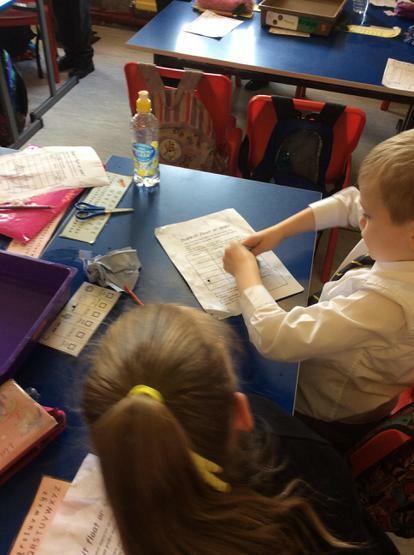 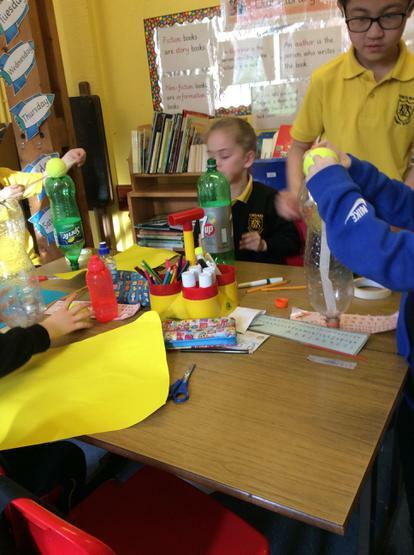 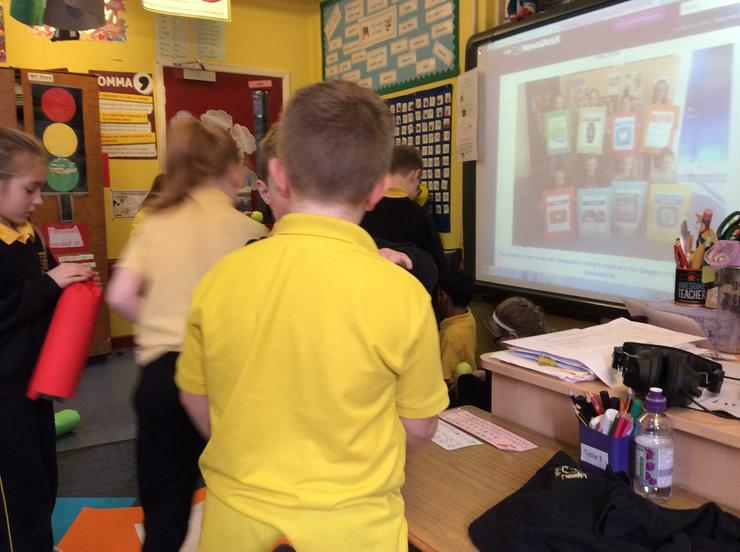 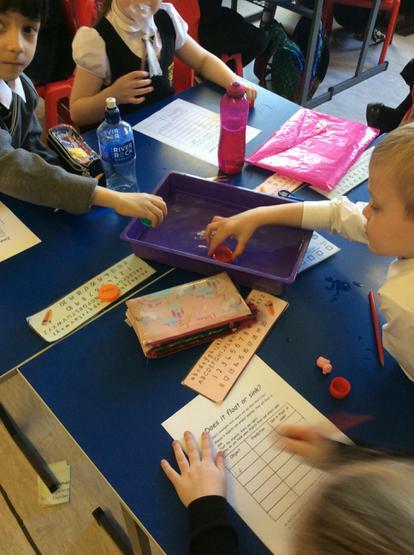 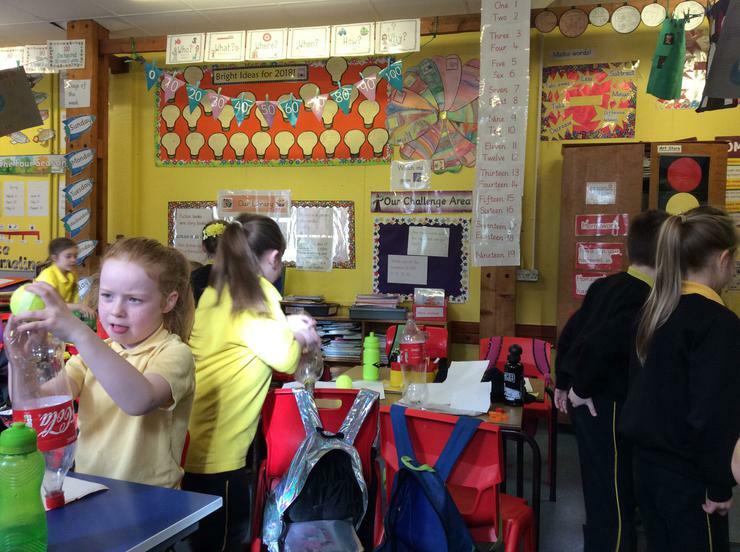 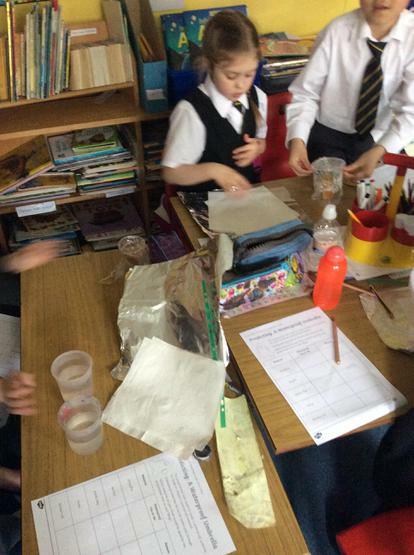 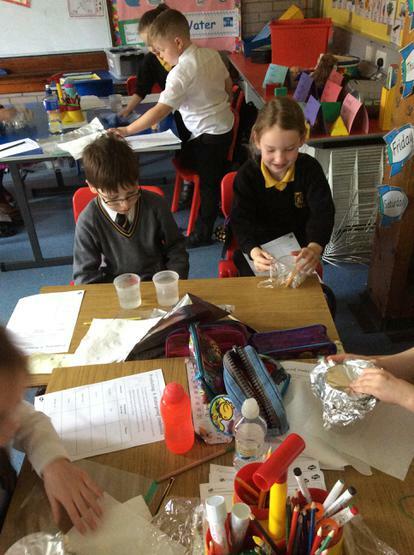 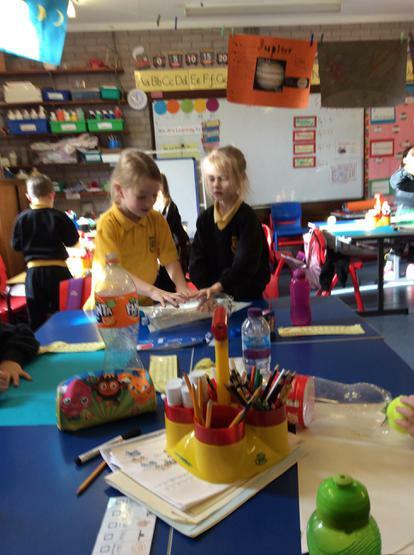 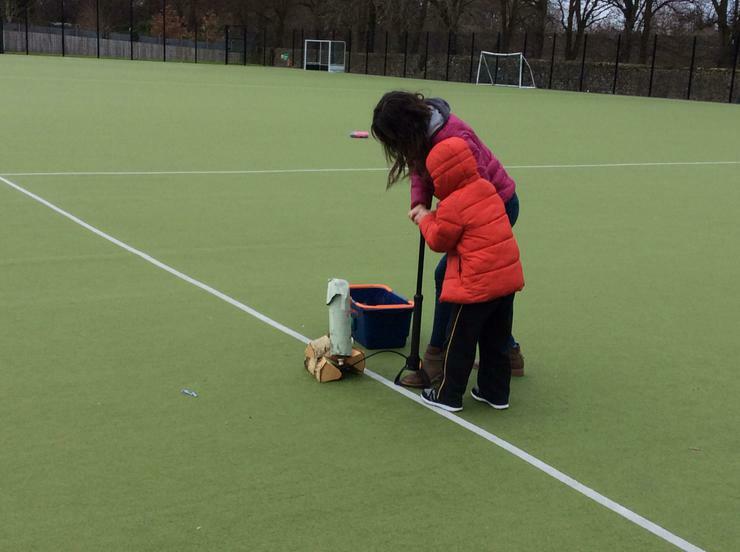 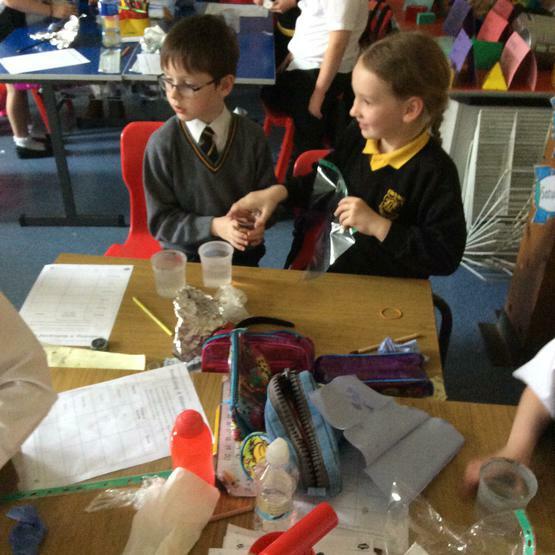 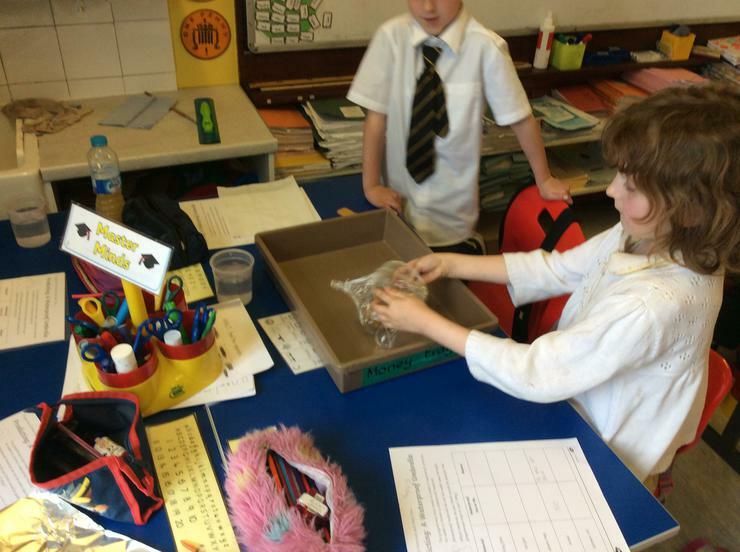 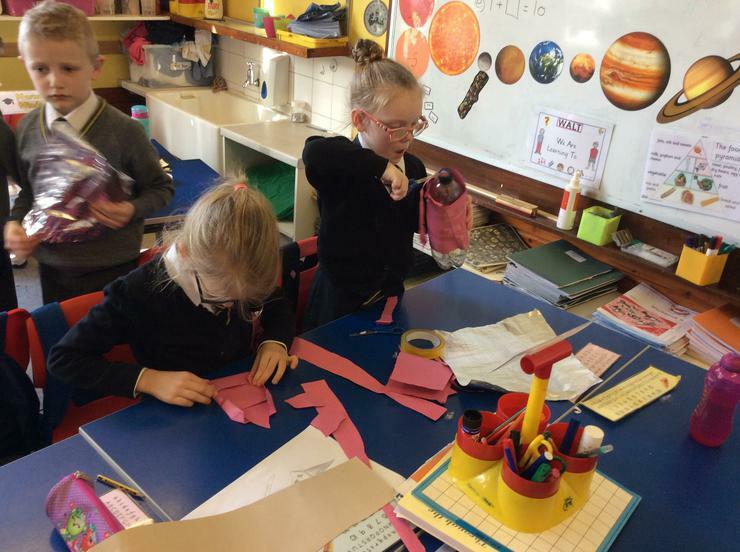 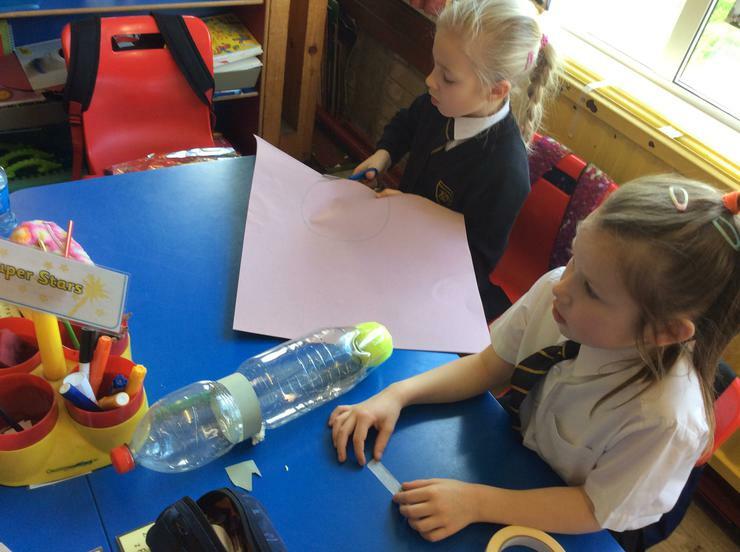 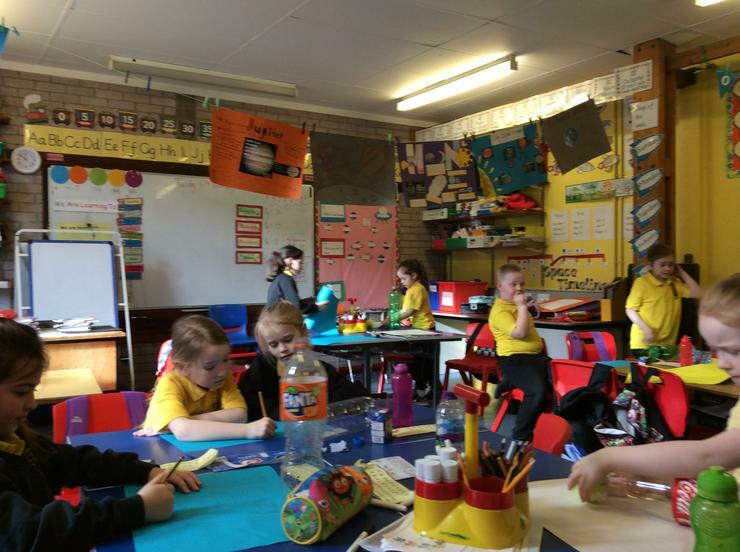 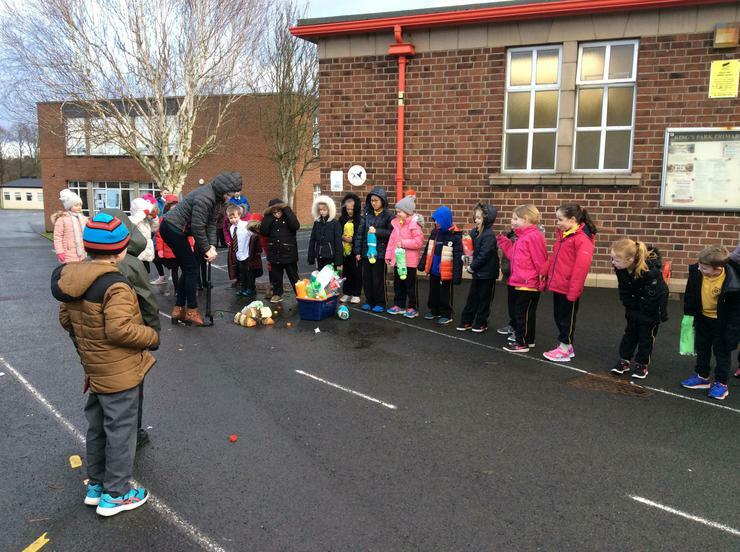 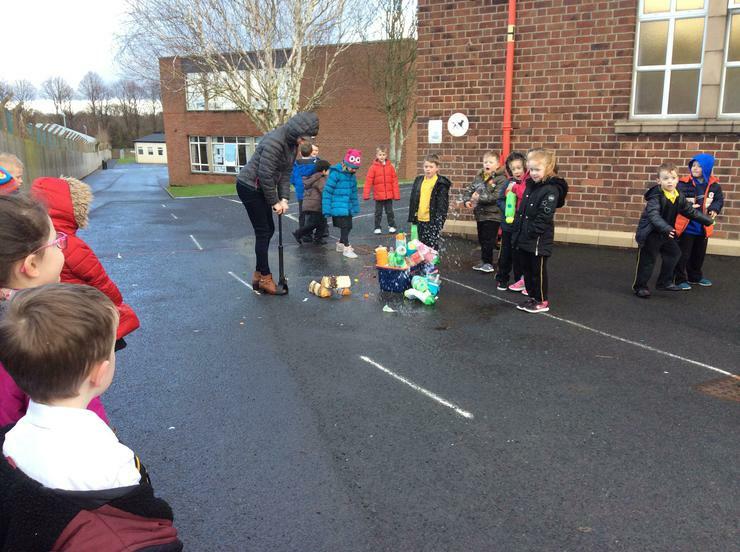 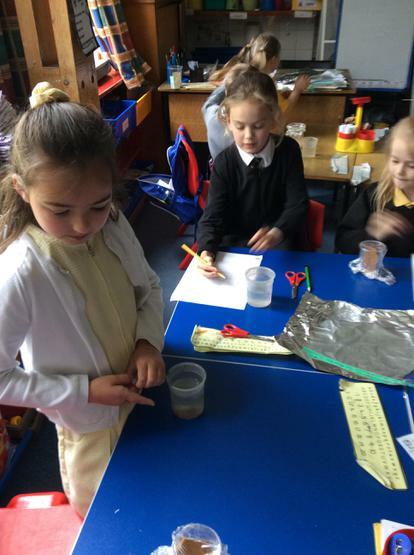 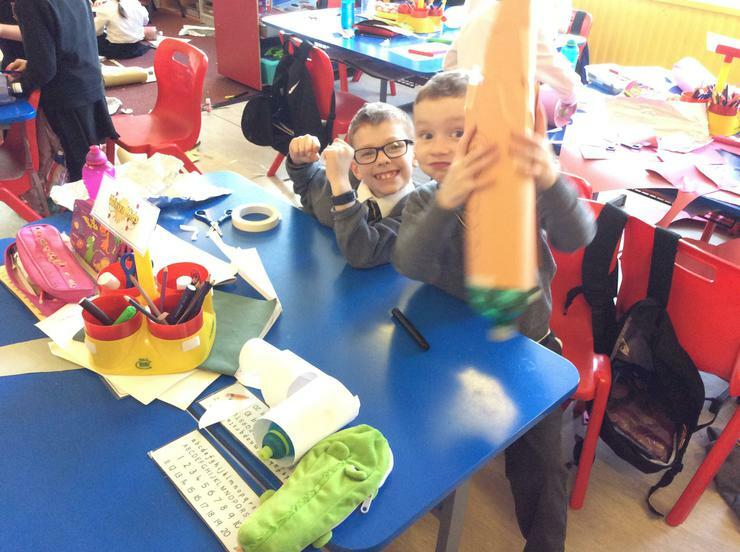 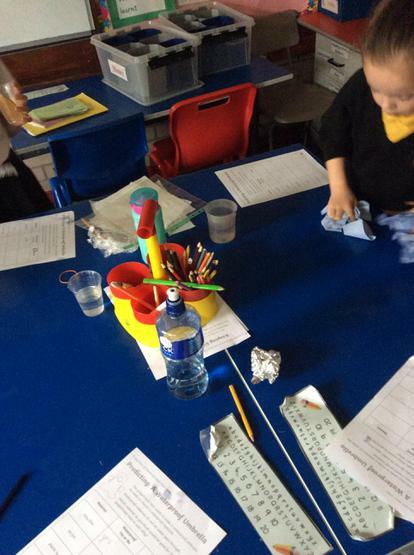 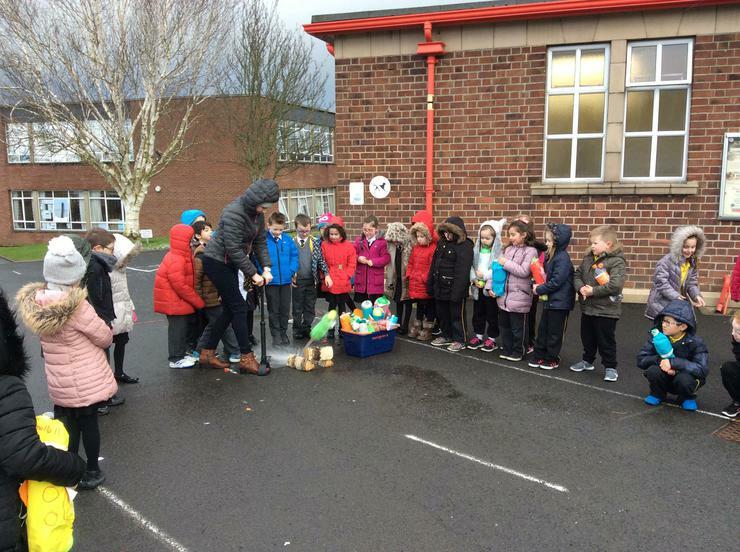 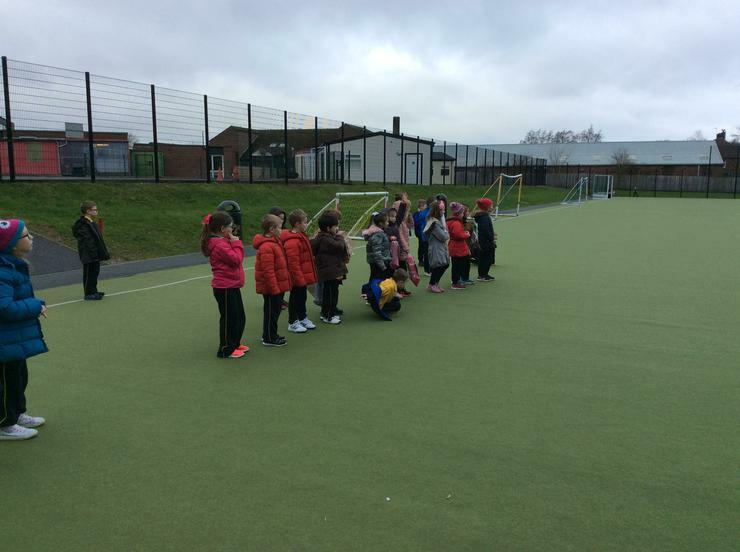 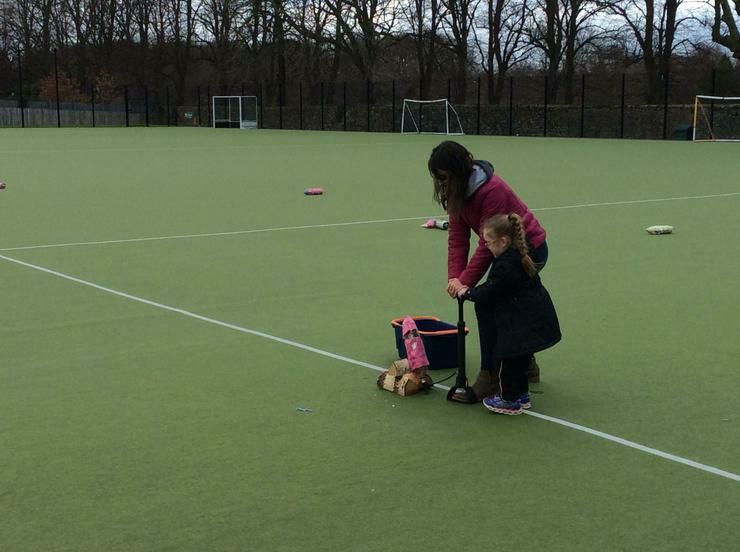 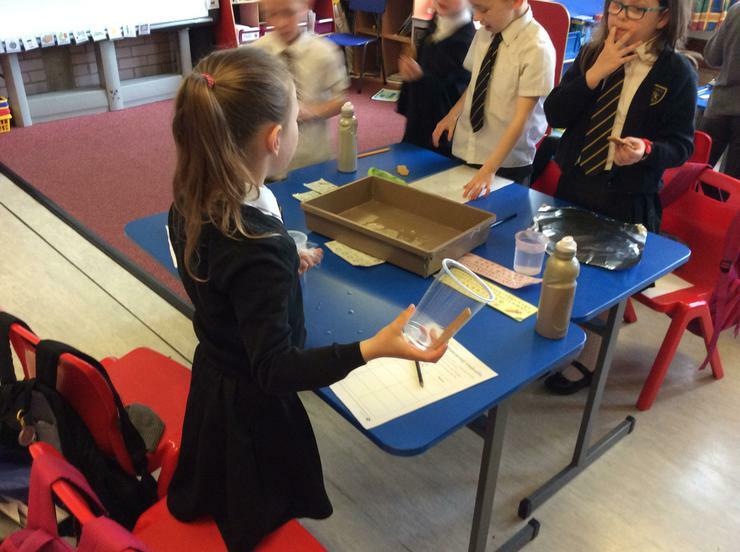 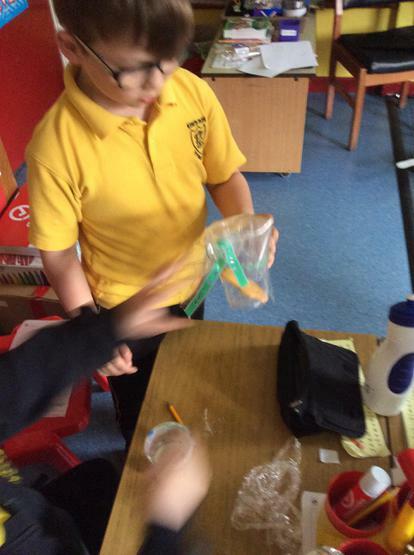 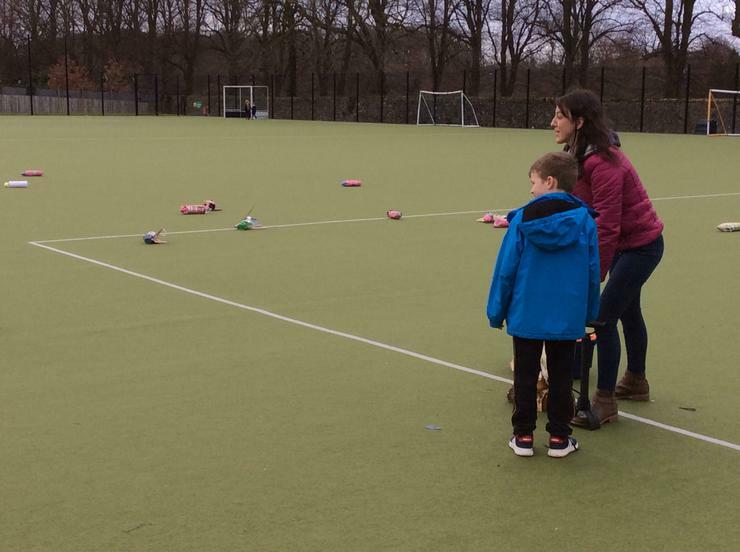 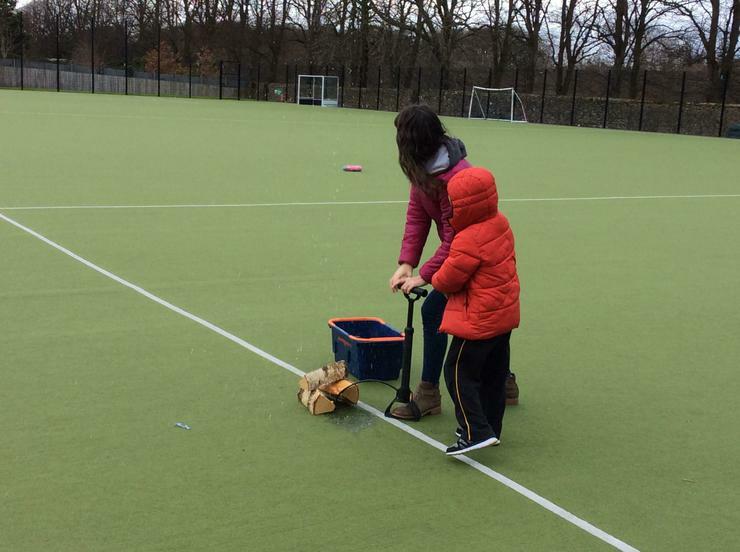 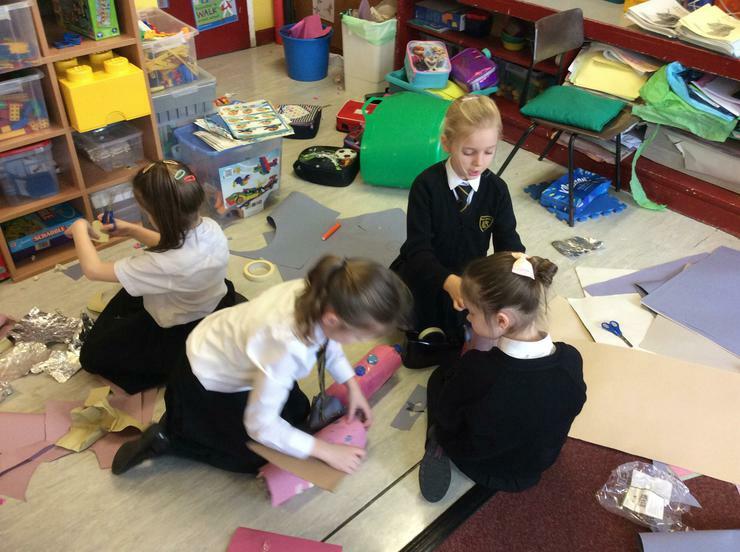 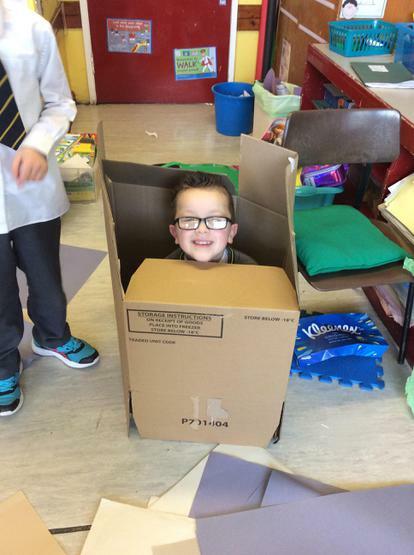 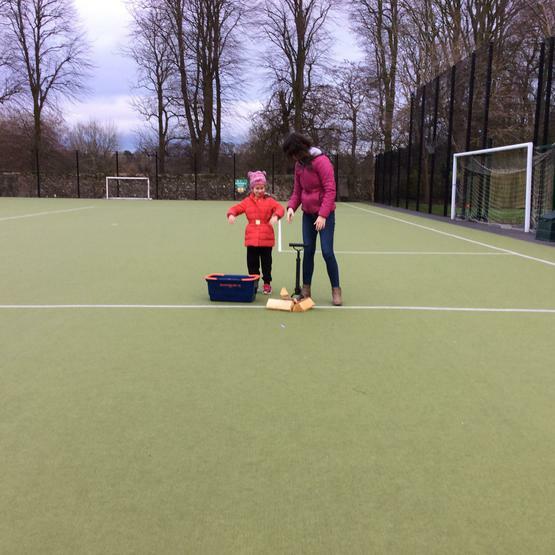 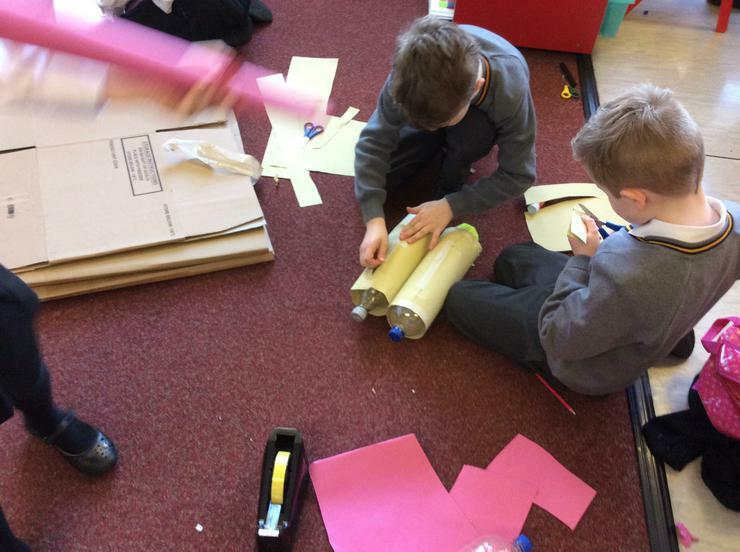 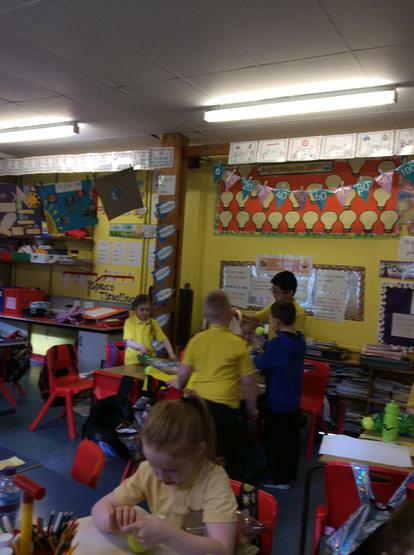 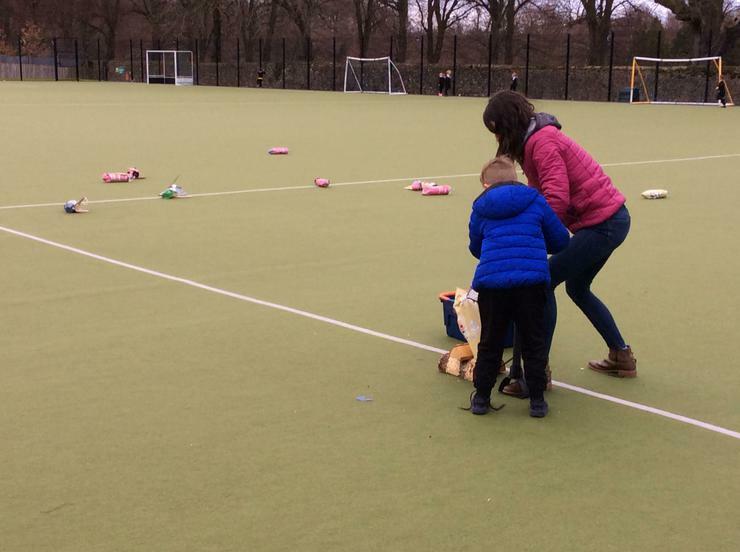 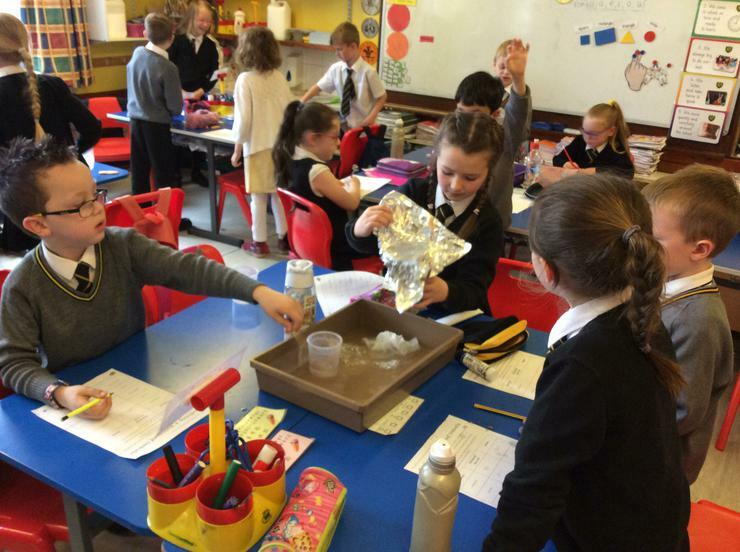 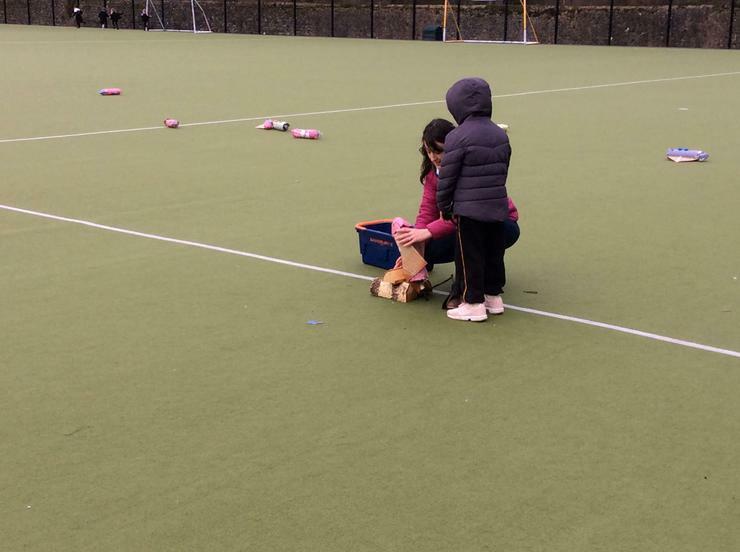 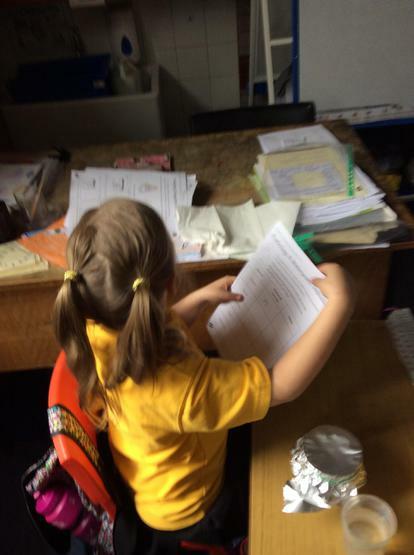 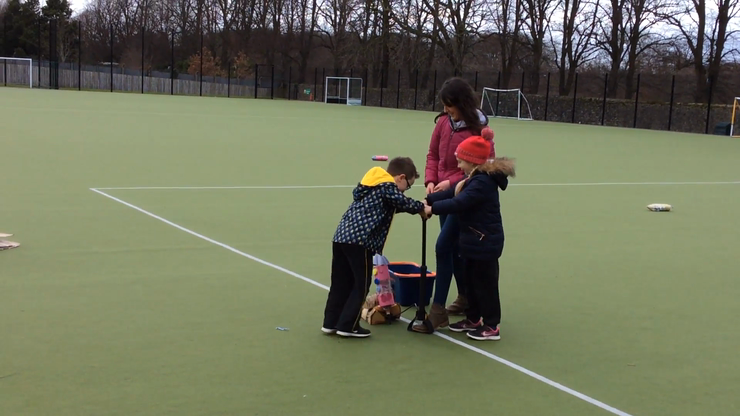 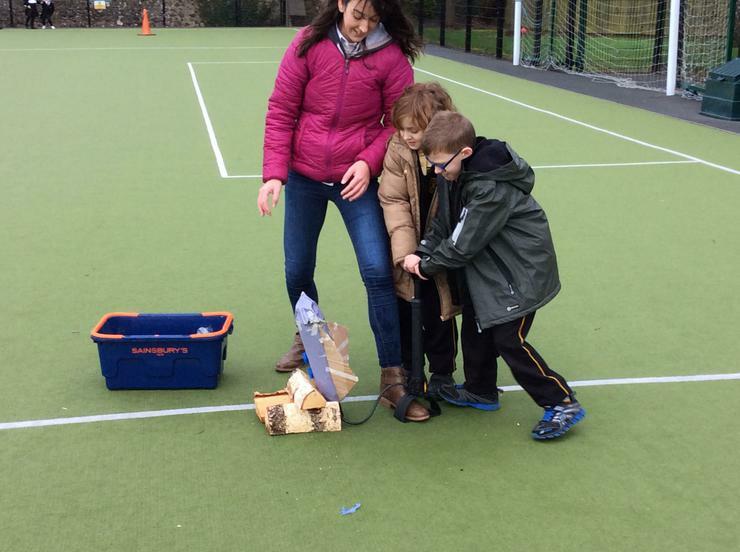 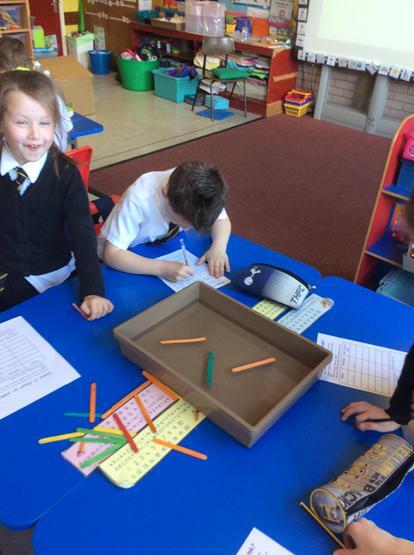 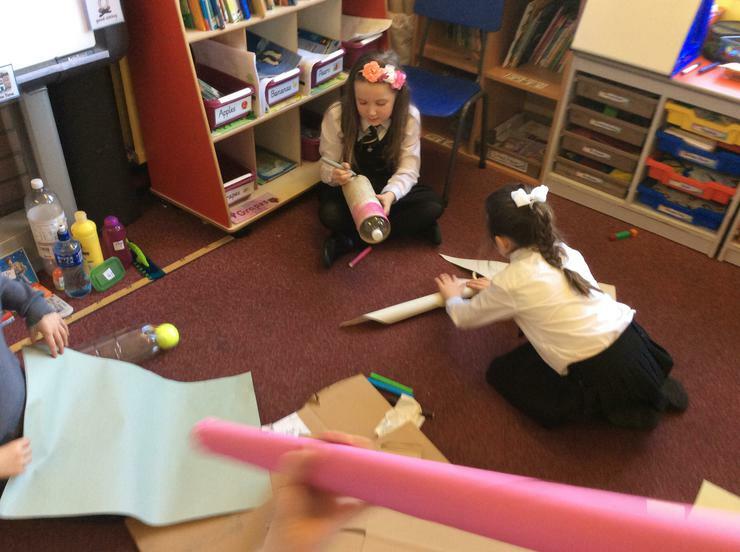 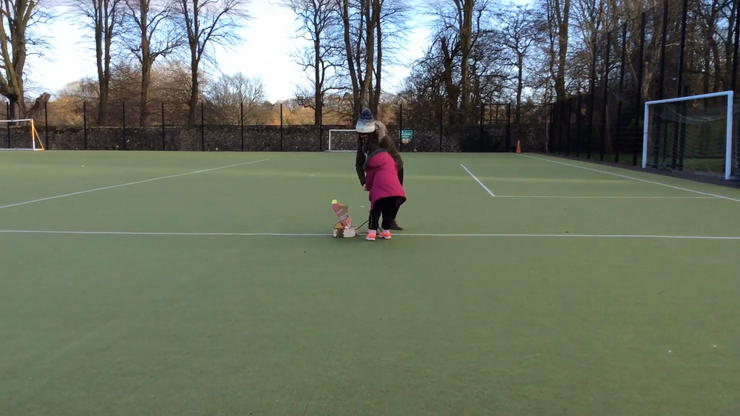 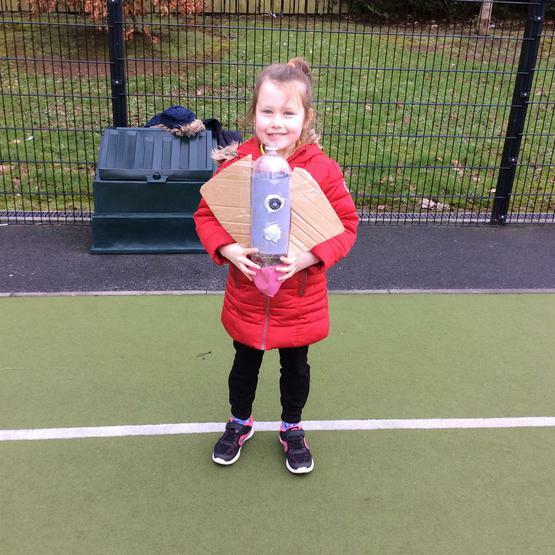 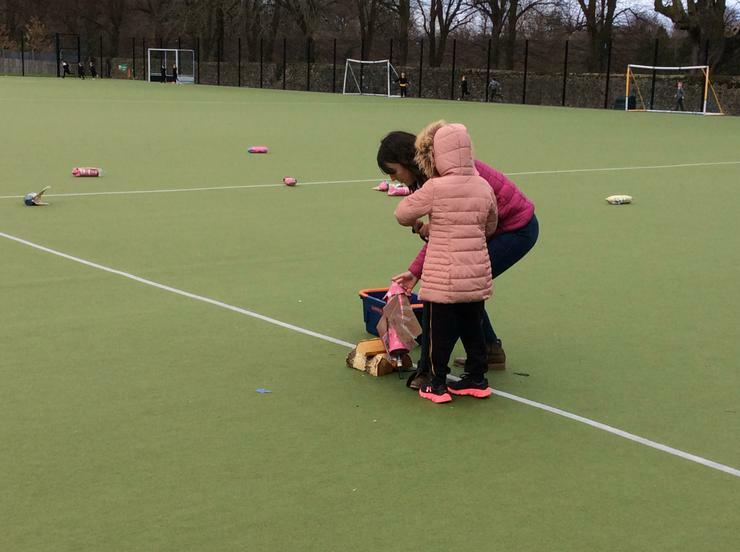 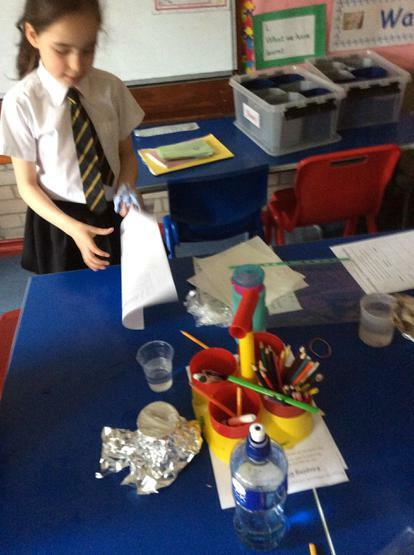 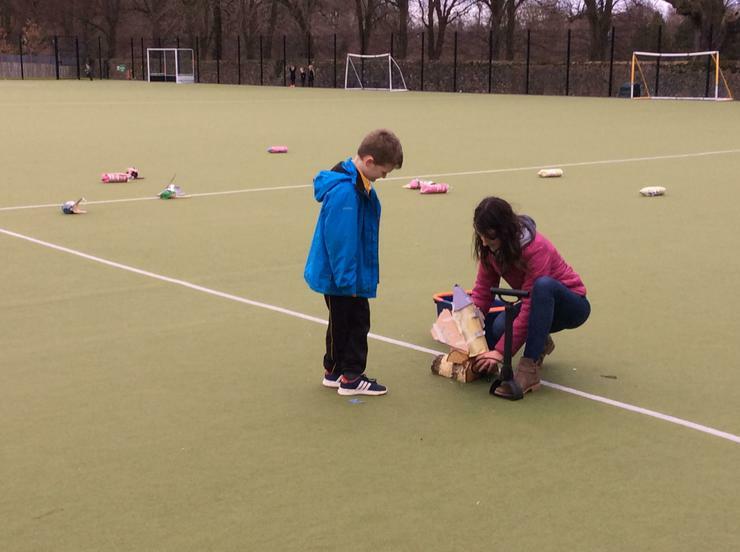 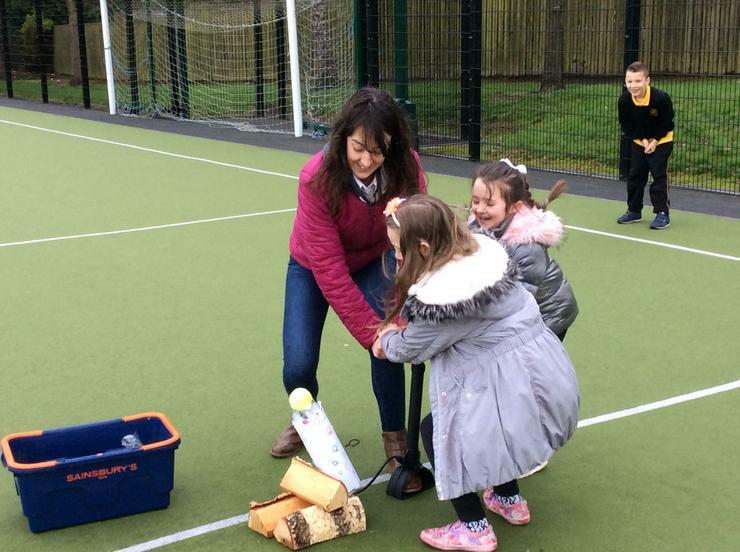 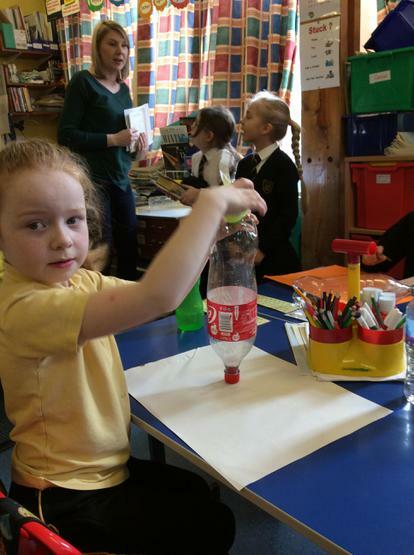 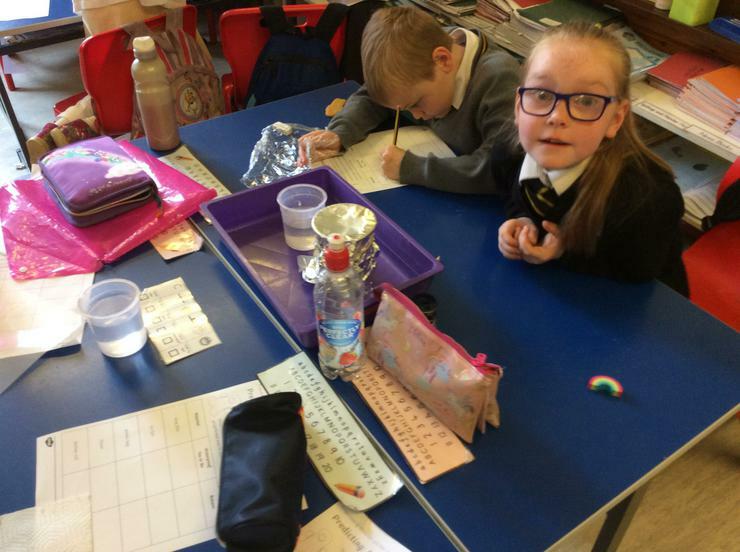 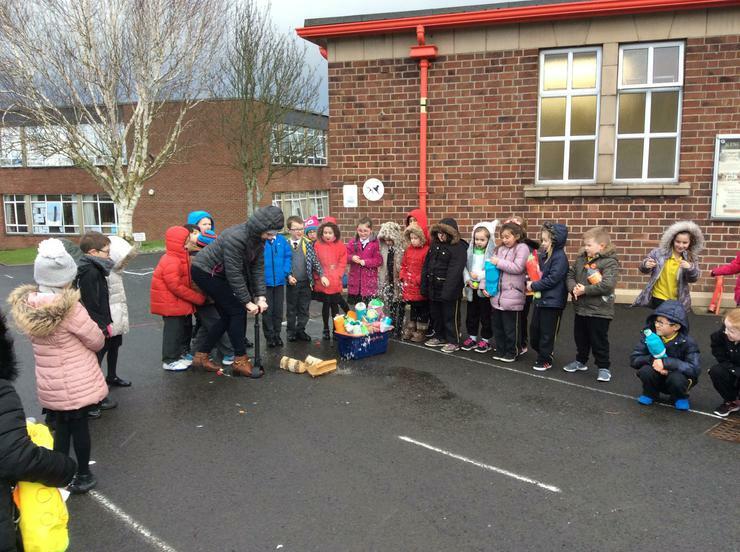 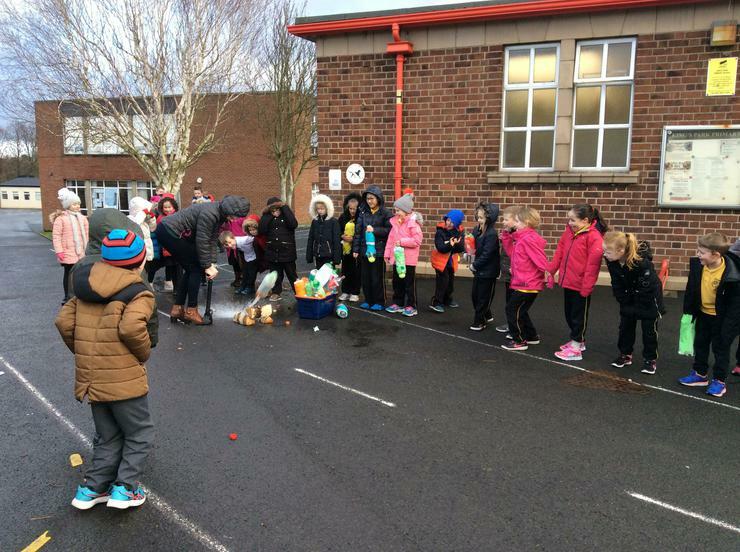 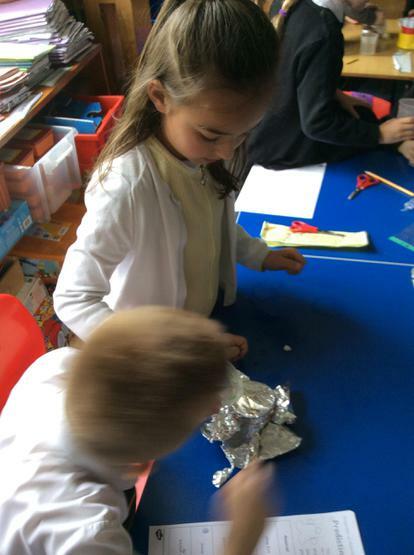 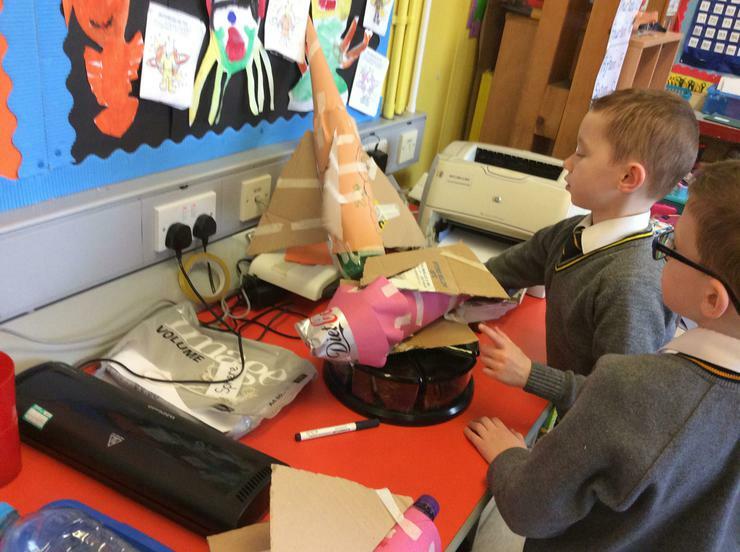 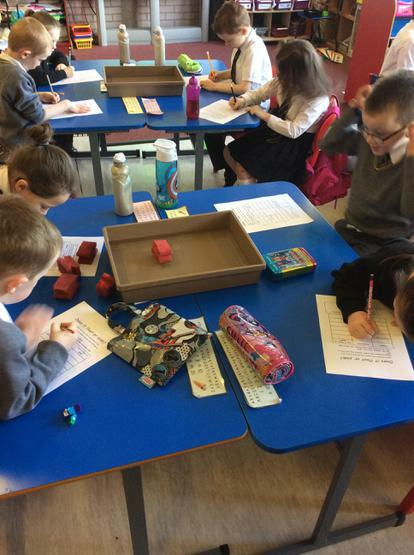 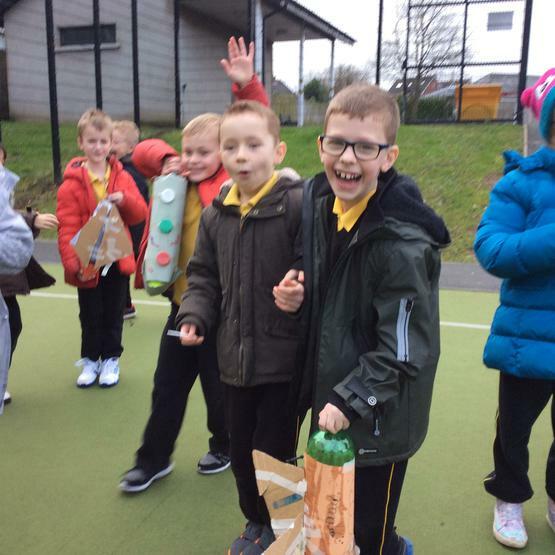 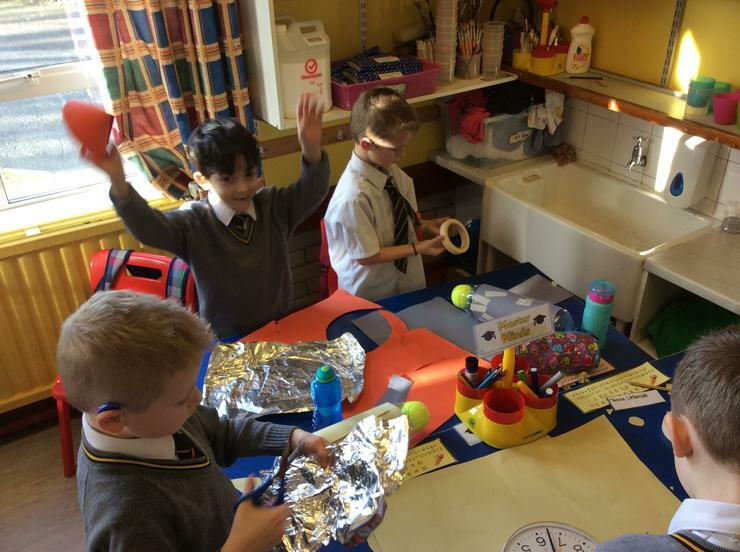 P3Devlin had fun letting their rockets off! 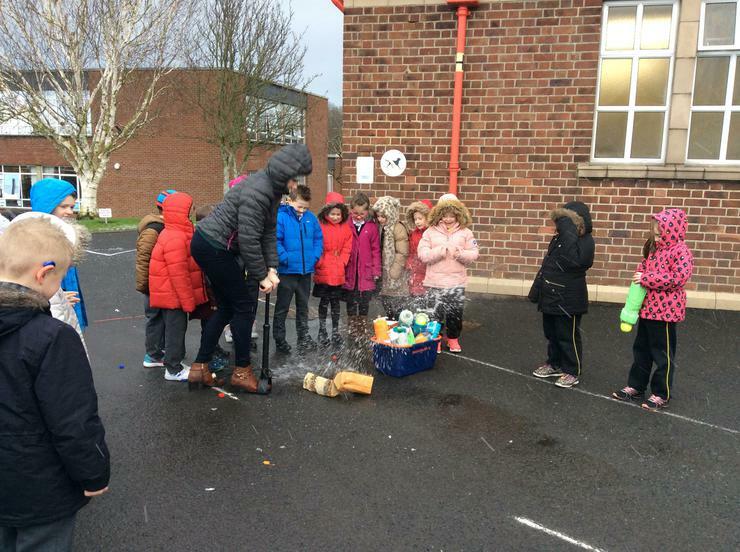 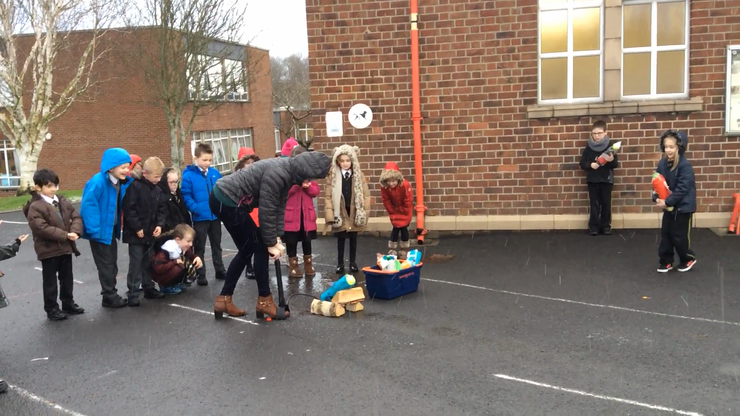 Miss Douglas got a little wet with this rocket!